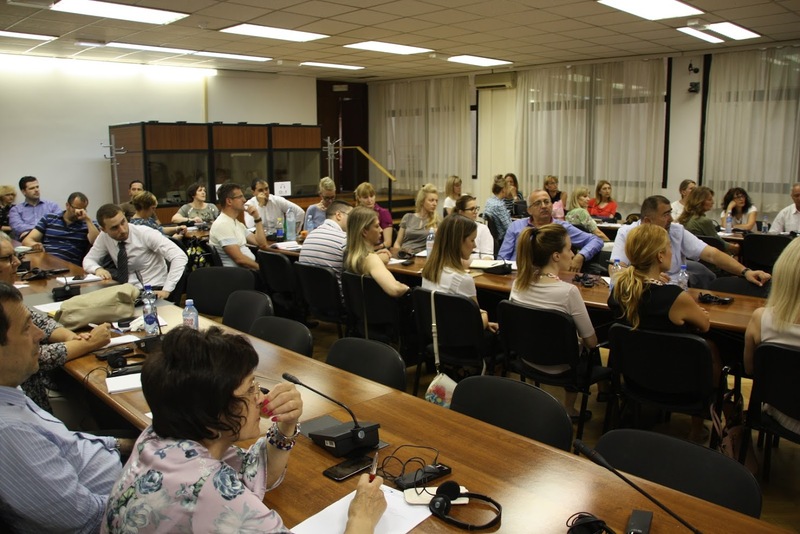 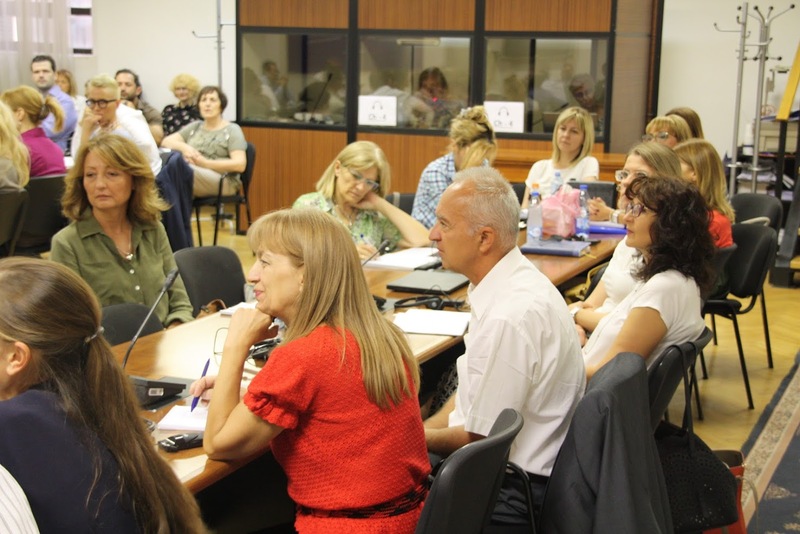 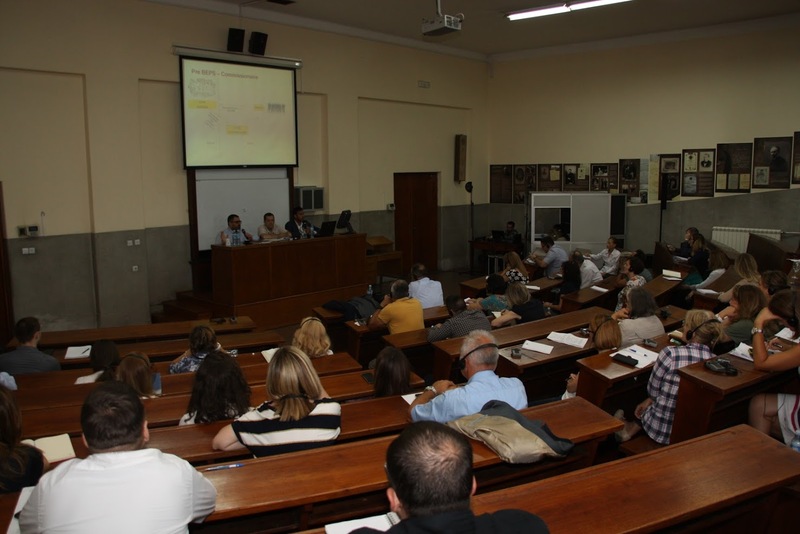 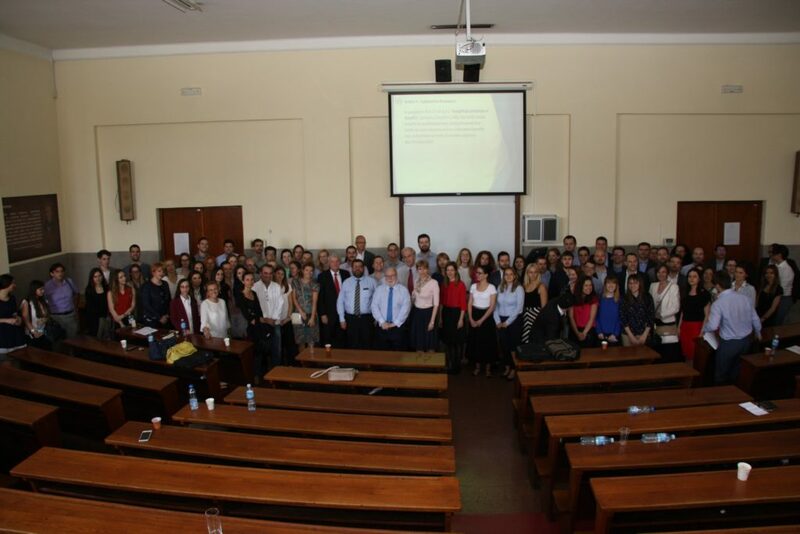 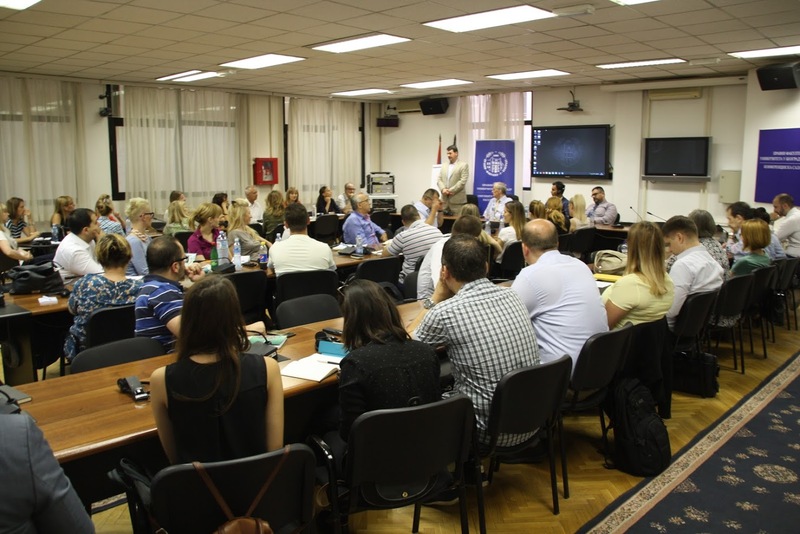 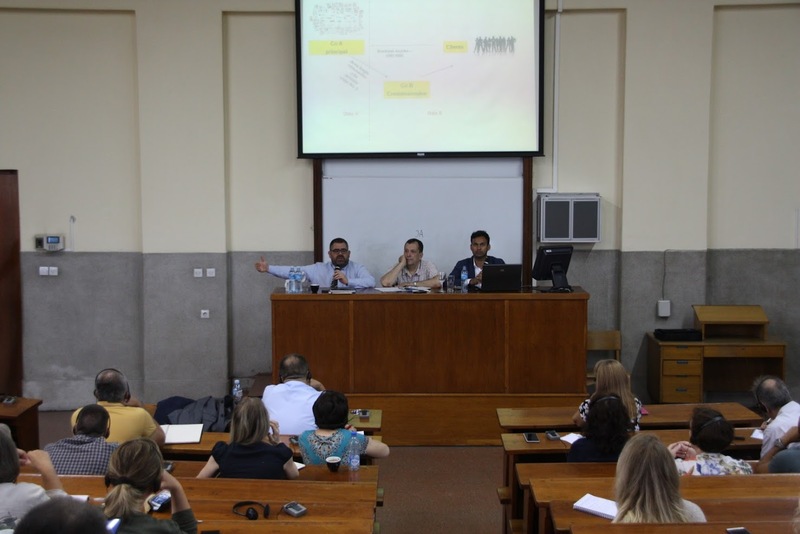 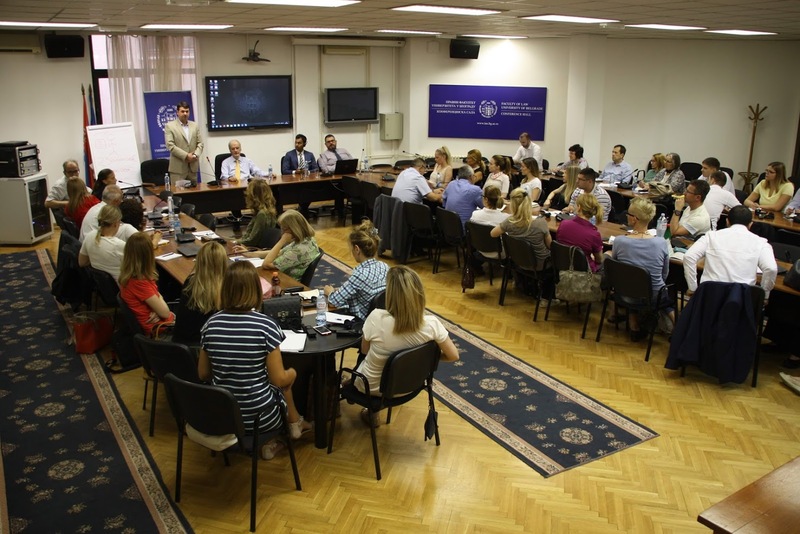 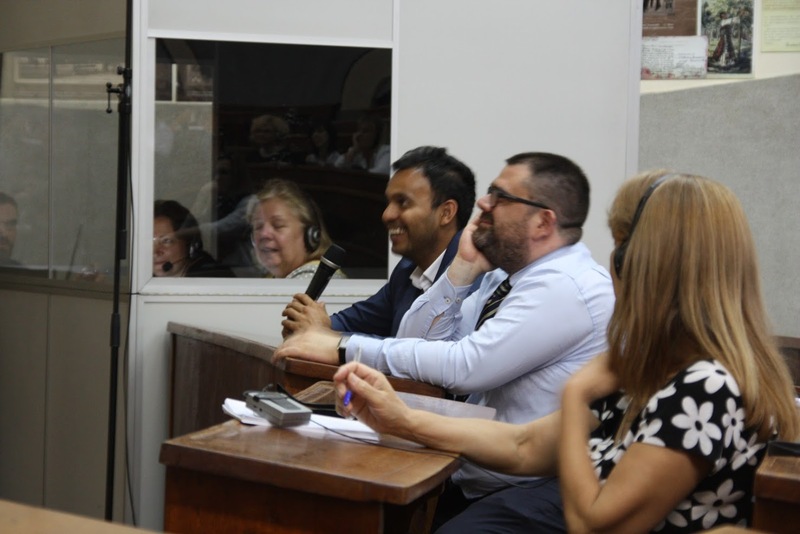 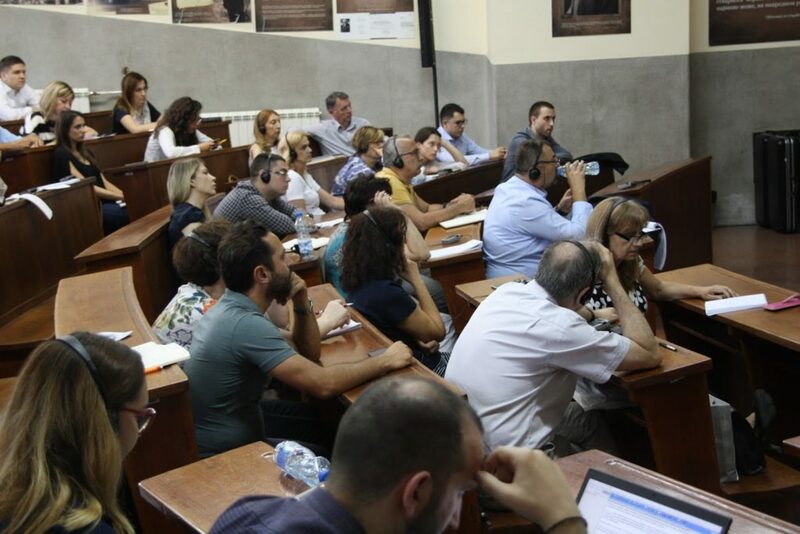 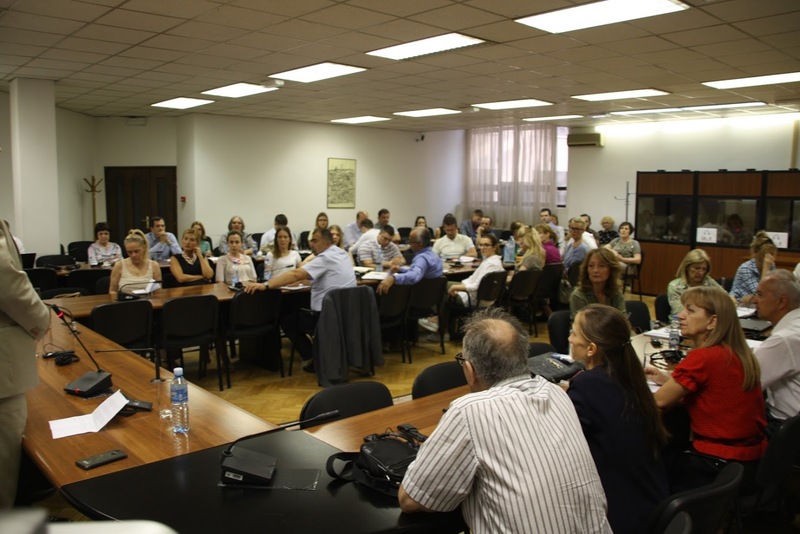 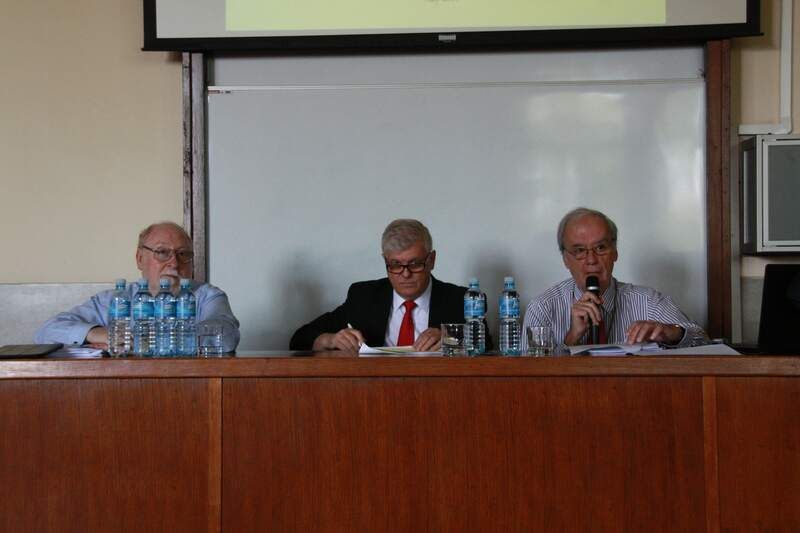 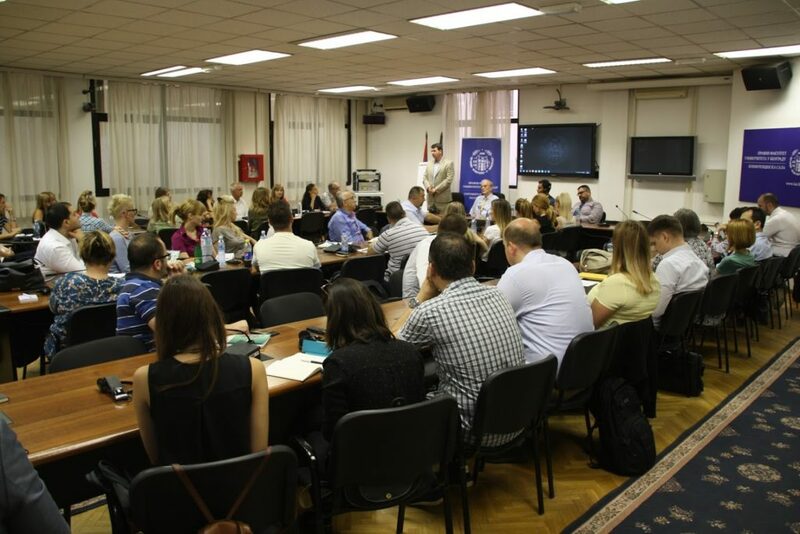 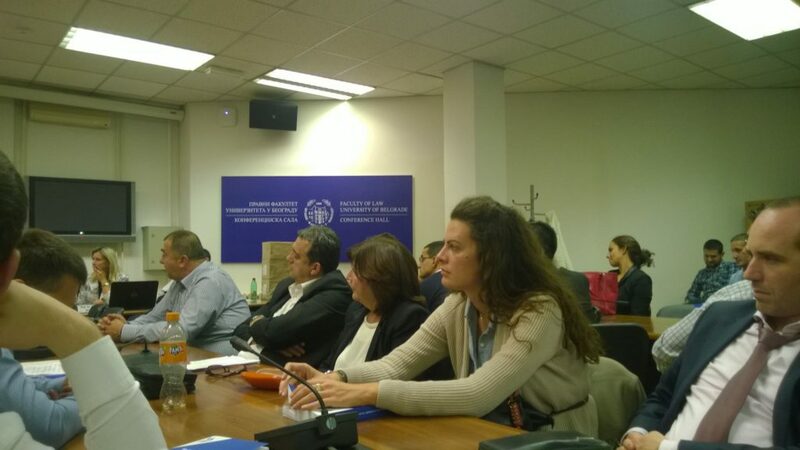 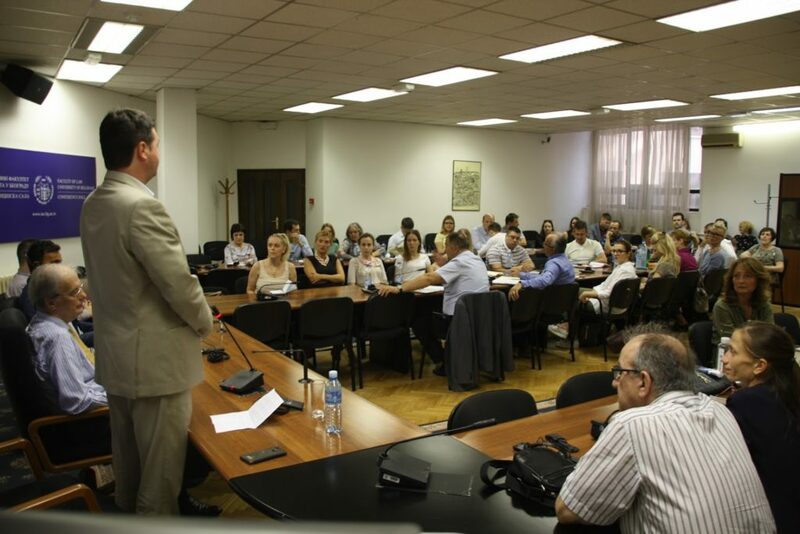 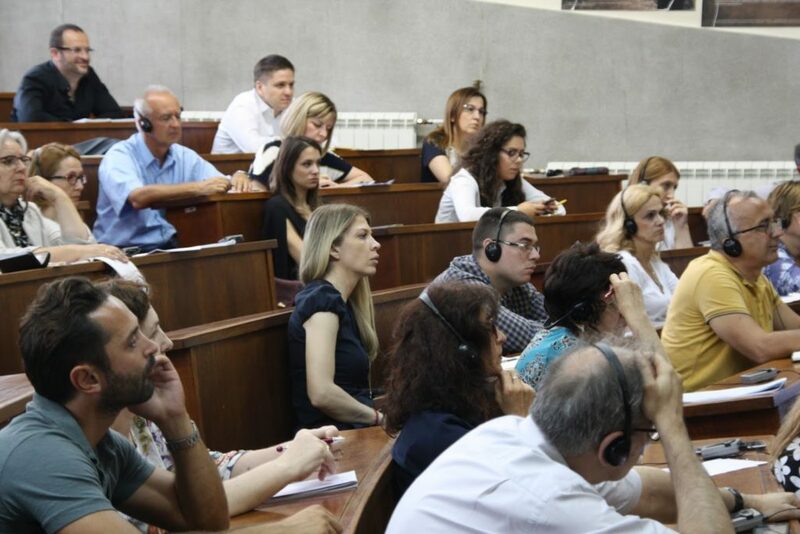 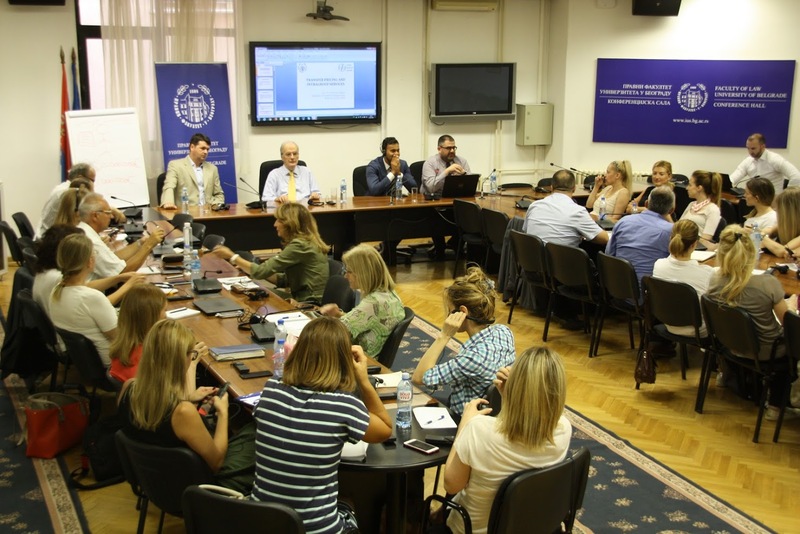 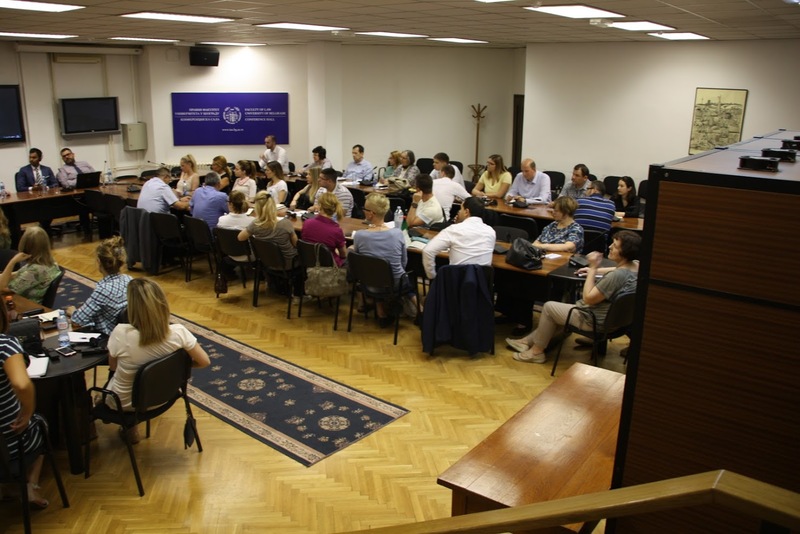 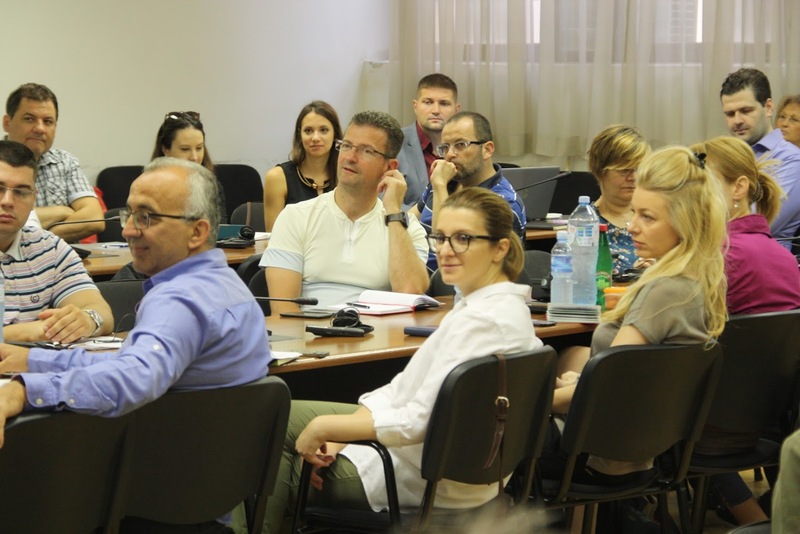 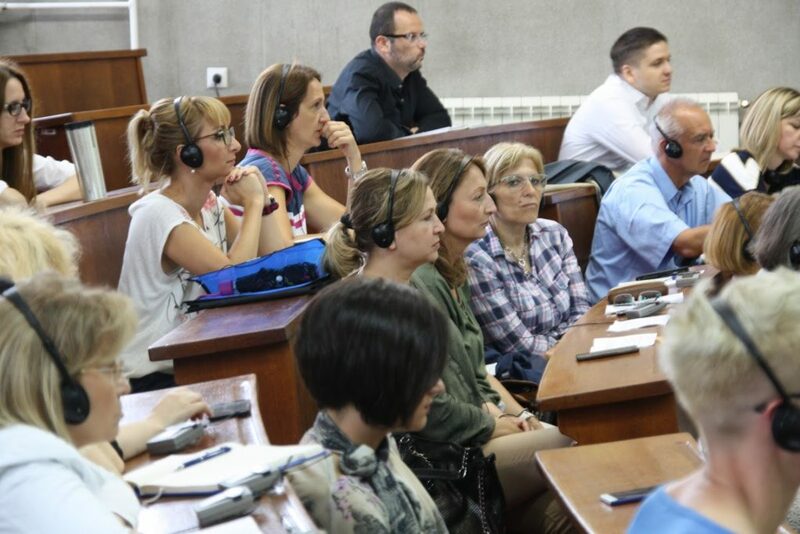 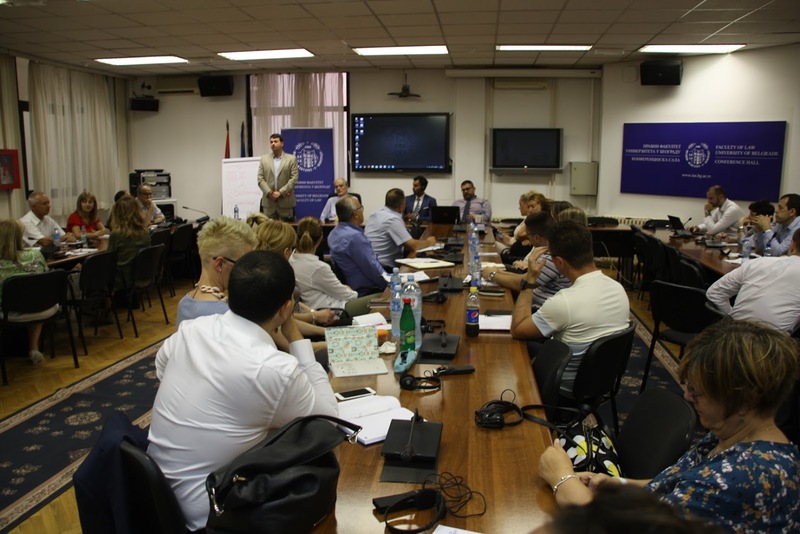 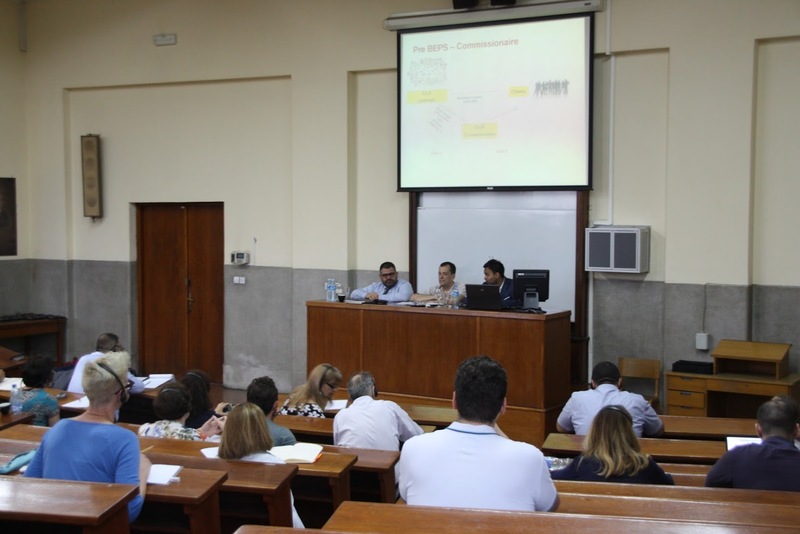 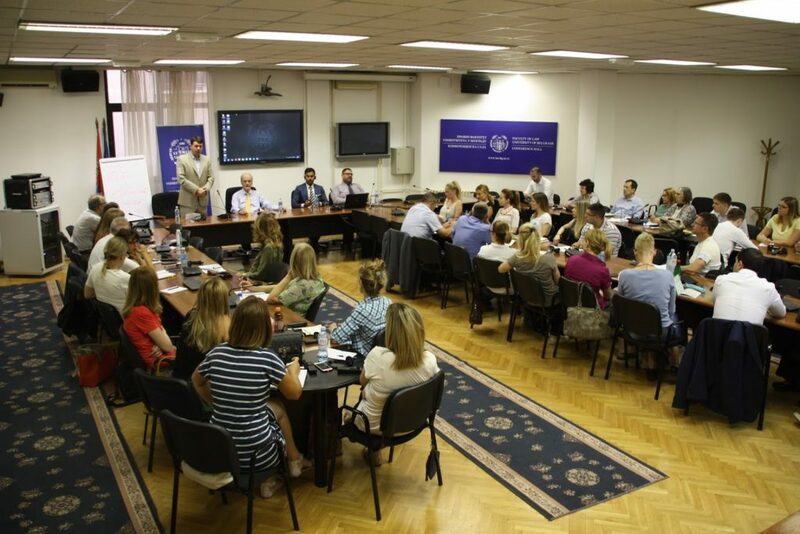 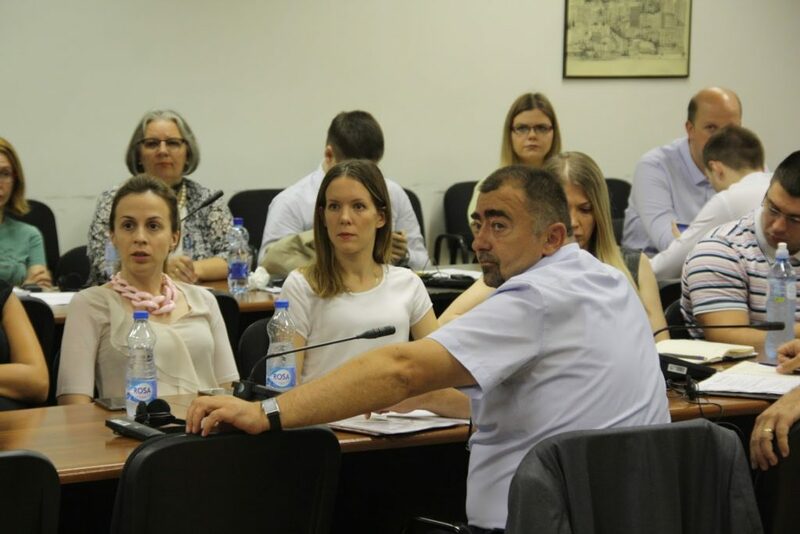 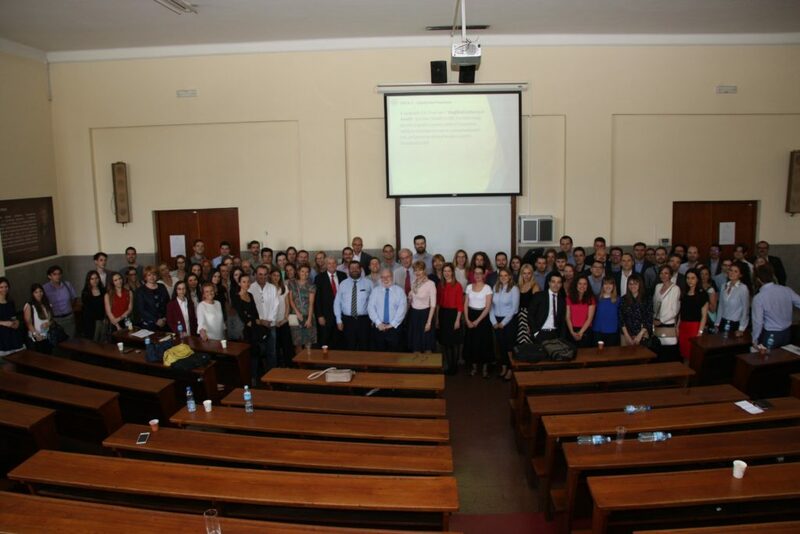 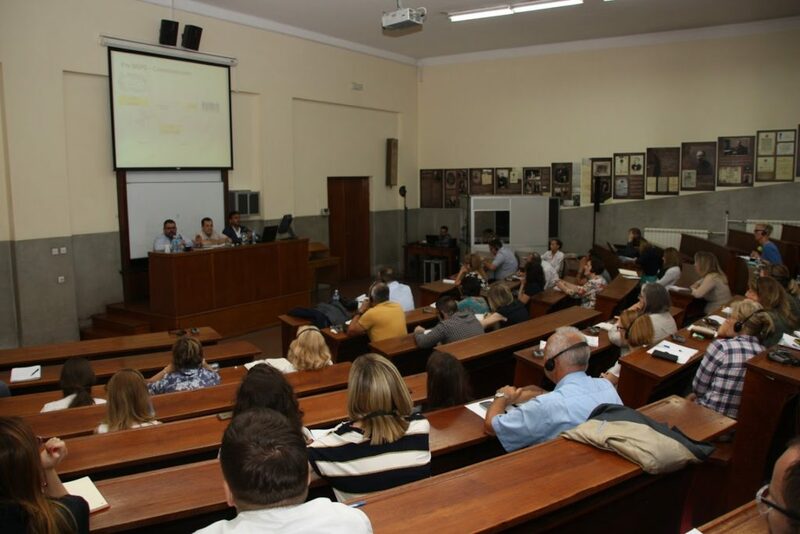 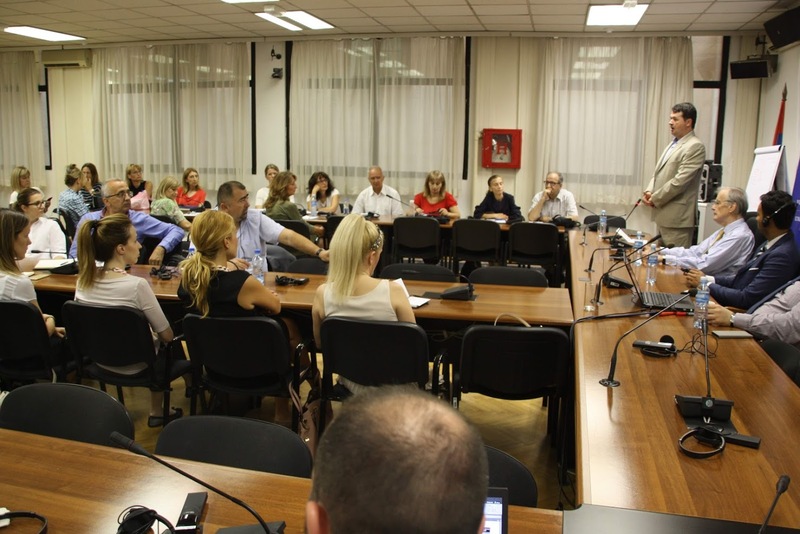 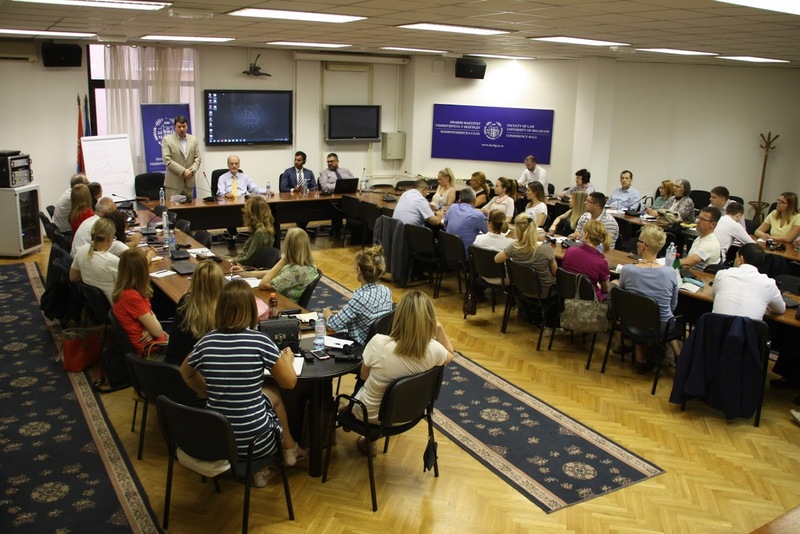 The University of Belgrade Faculty of Law and the Tax Policy Center of the University of Lausanne, in cooperation with the Serbian Fiscal Society, organized on 21 and 22 June 2018 at the University of Belgrade Faculty of Law an Intensive International Tax Law Seminar. The sеminar was jointly held by Dr. Vikram Chand from the University of Lausanne and Doc. 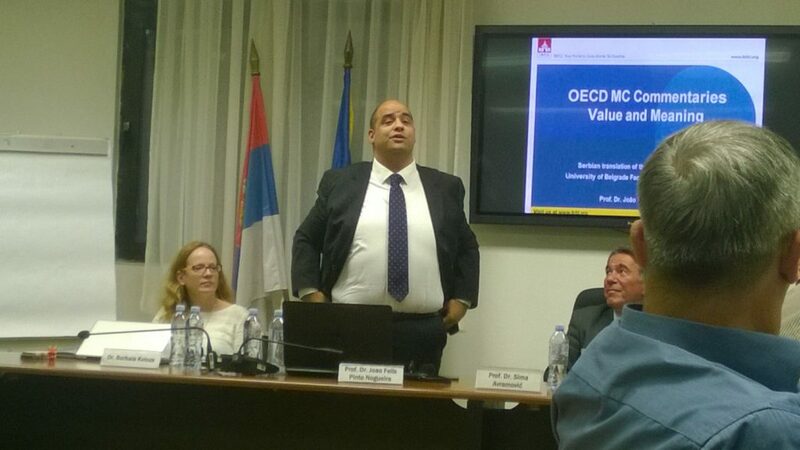 Dr. Svetislav V. Kostić from the University of Belgrade Faculty of Law. 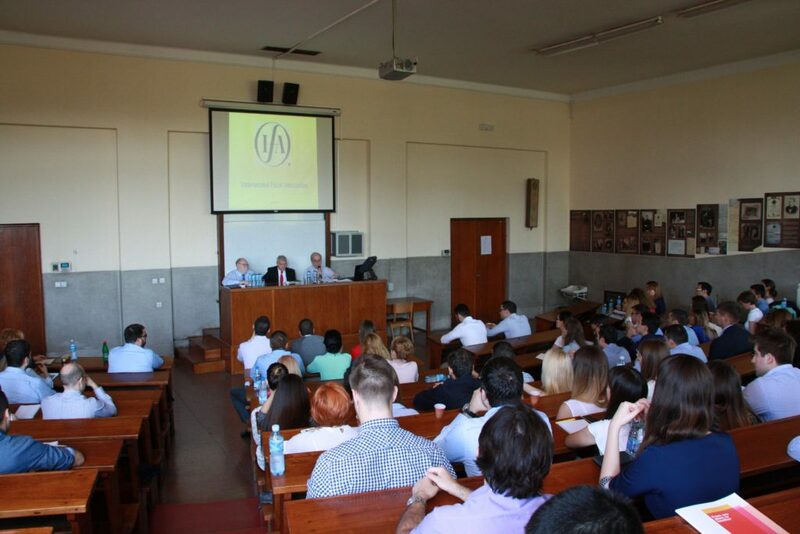 The first day of the seminar, 21. 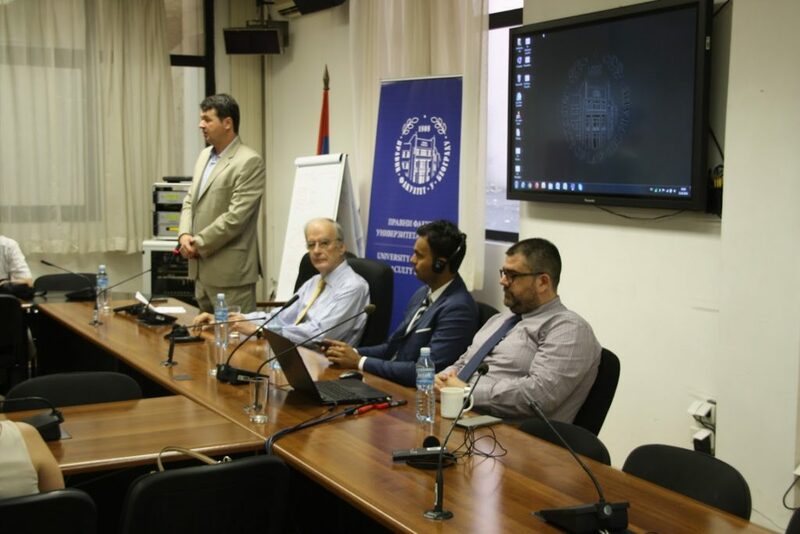 June 2018, was dedicated to transfer pricing, with particular focus on the following areas: the transfer pricing process post BEPS; special considerations for intra group services; special considerations for intra group intangibles; special considerations for intra group financing; the application of the profit split method to selected transactions; the role of safe harbors to prevent disputes. On the second day of the seminar, 22. 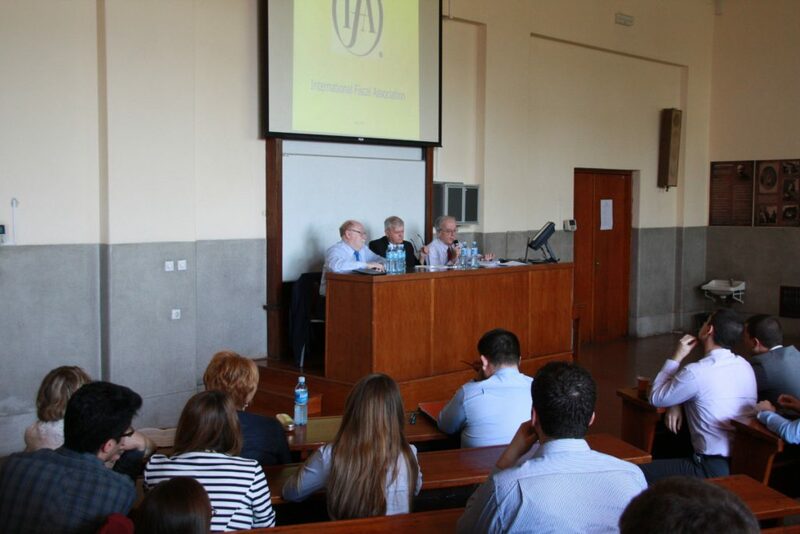 June 2018, selected international tax law issues were the subject of discussion: artificial avoidance of the PE status and profit attribution; countering harmful tax practices and the case of Serbia; international tax policy in light of substance, substantial activities and the value creation principle; the on-going debate: digital economy and taxing digitalized businesses. 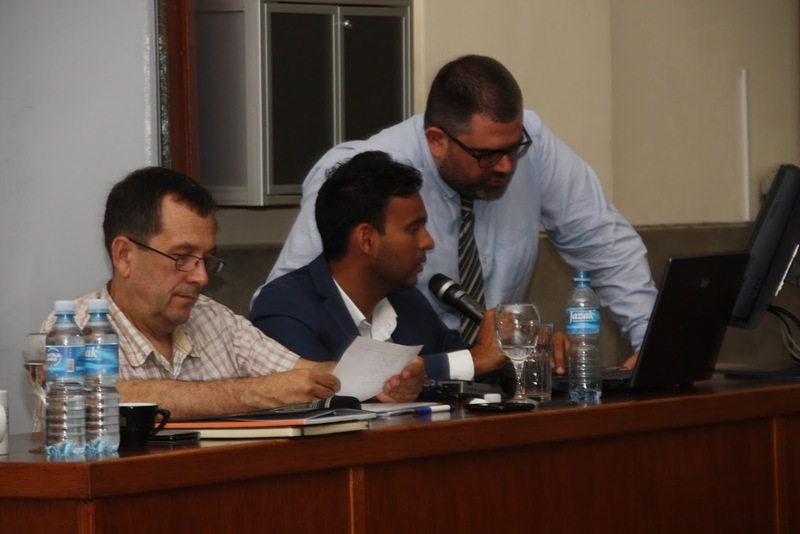 Dr. Vikram Chand and Doc. 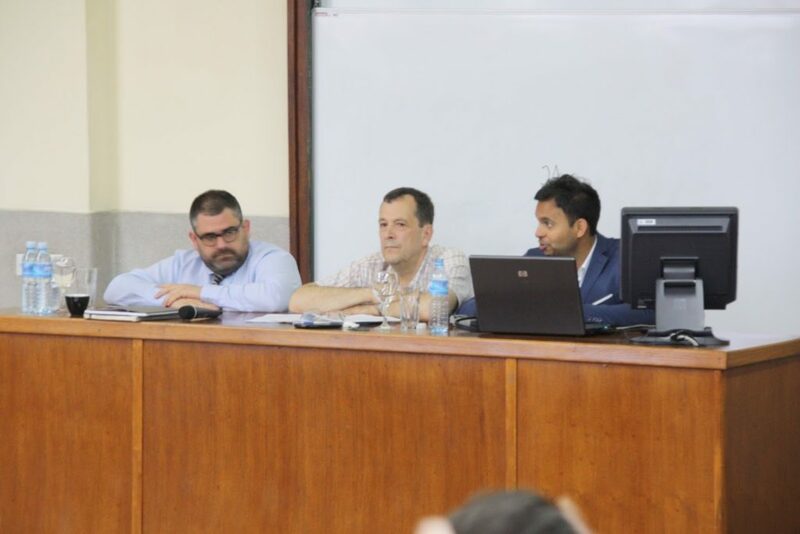 Dr. Svetislav V. Kostić were joined on the panel by mr Dejan Dabetić, Serbia’s chief tax treaty negotiator, whose inspirational input contributed to quality of the debate. 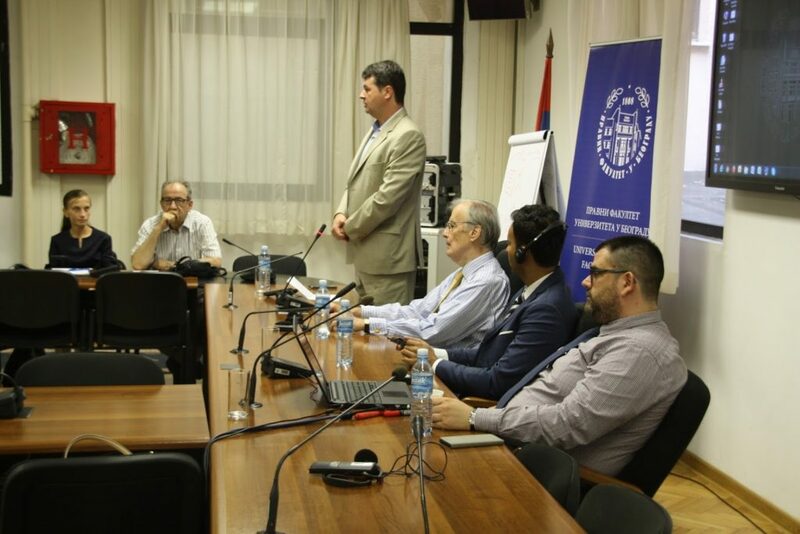 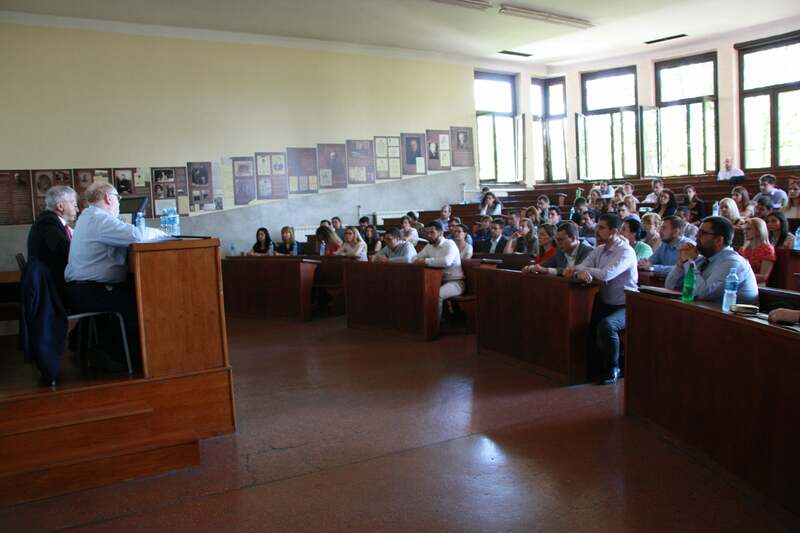 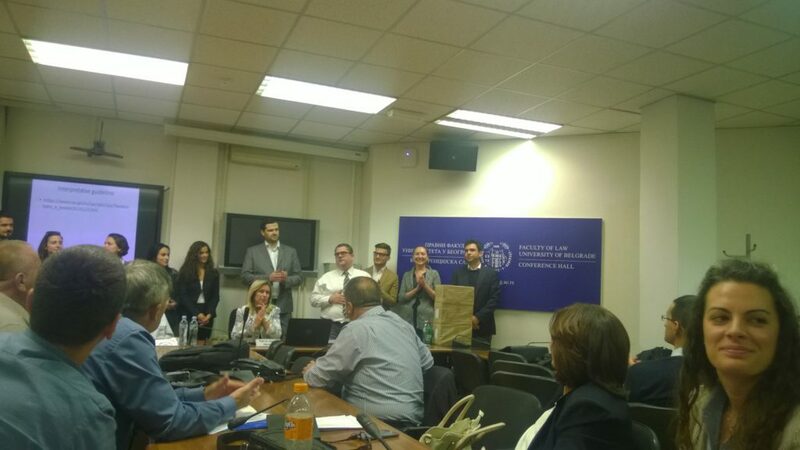 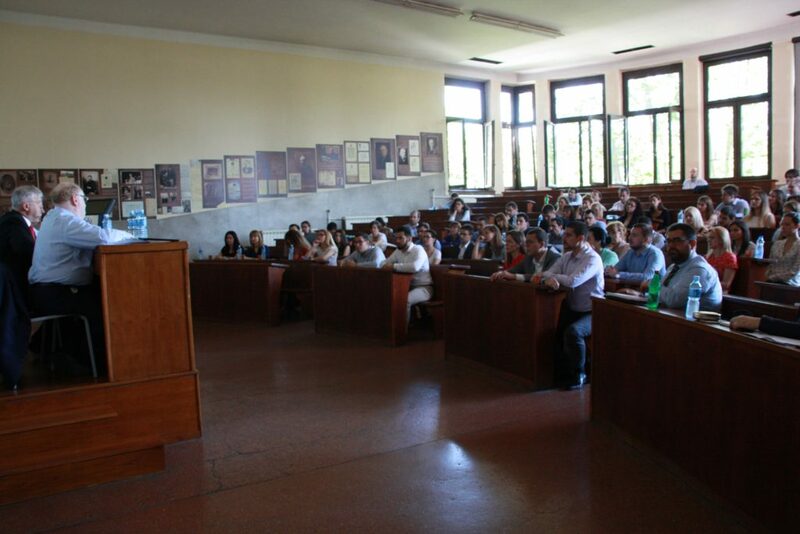 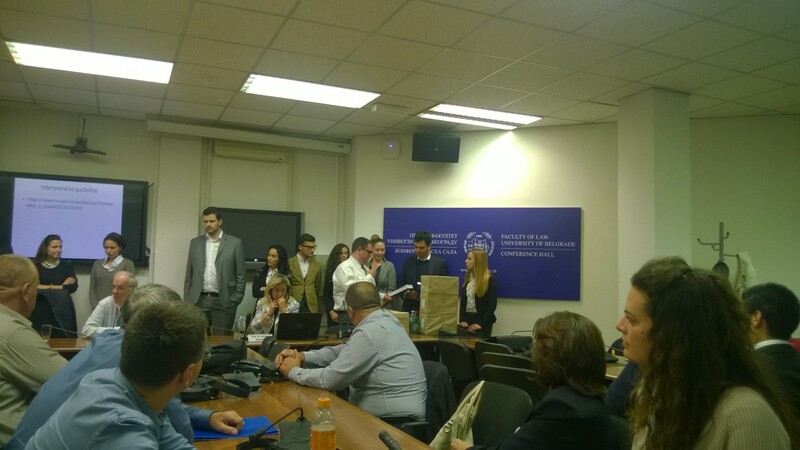 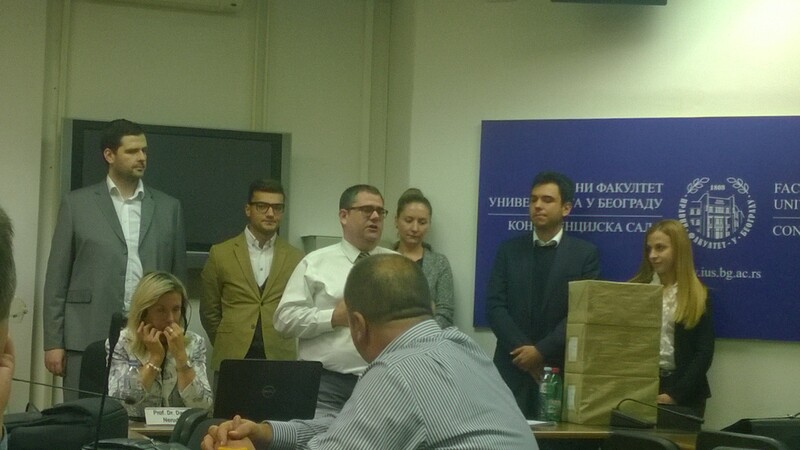 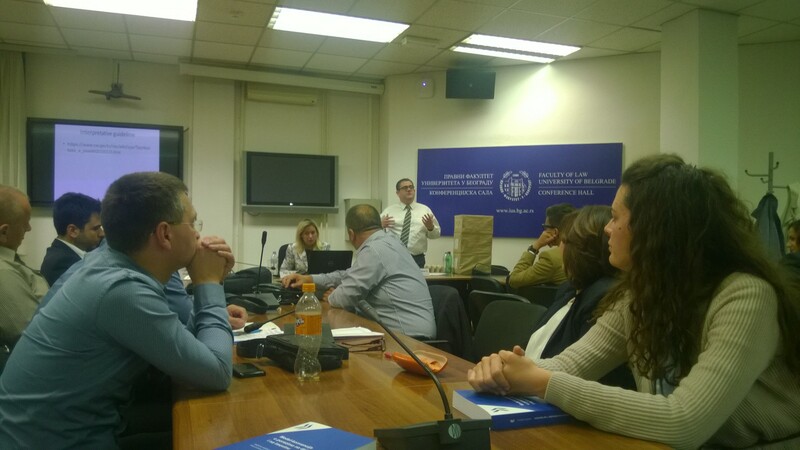 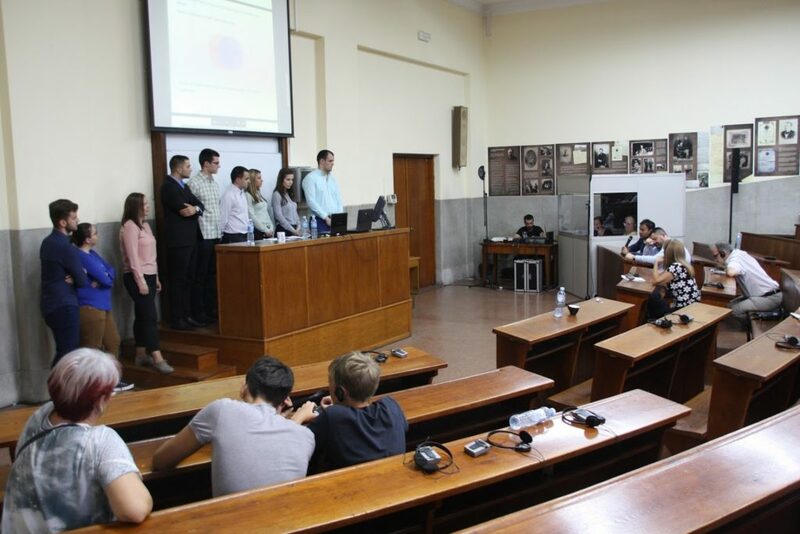 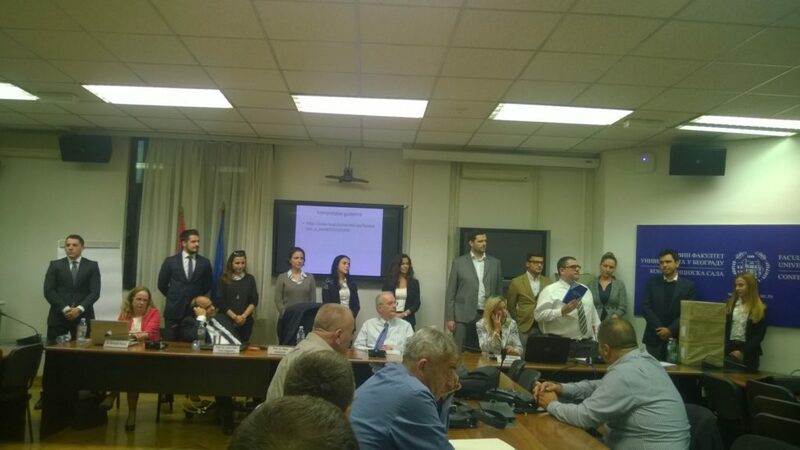 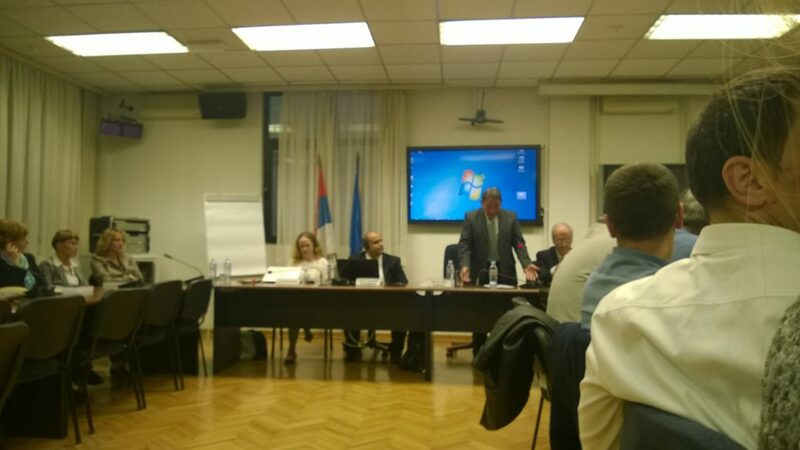 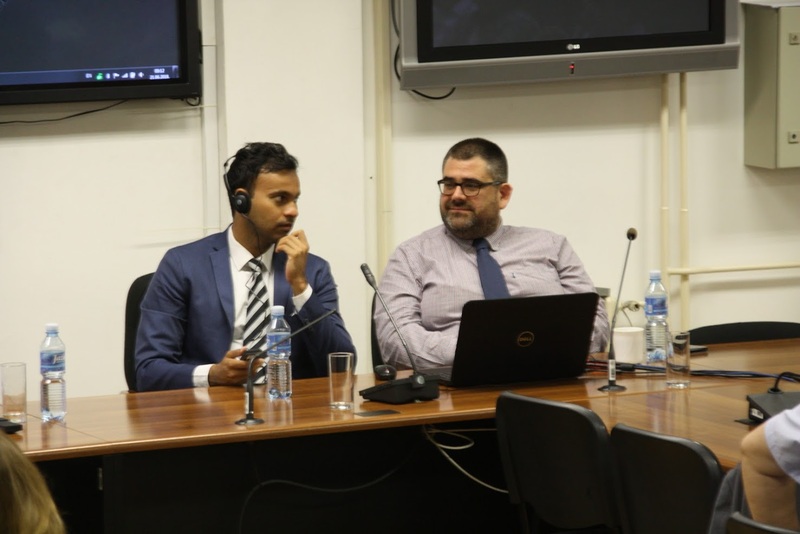 The students of the University of Belgrade Faculty of Law at the elective course had to deal with the interaction of the Serbian GAAR and the newly introduced PPT test from the MLI which is now a part of our double taxation treaties, while Dr. Vikram Chand is the preeminent author in this extremely current area. 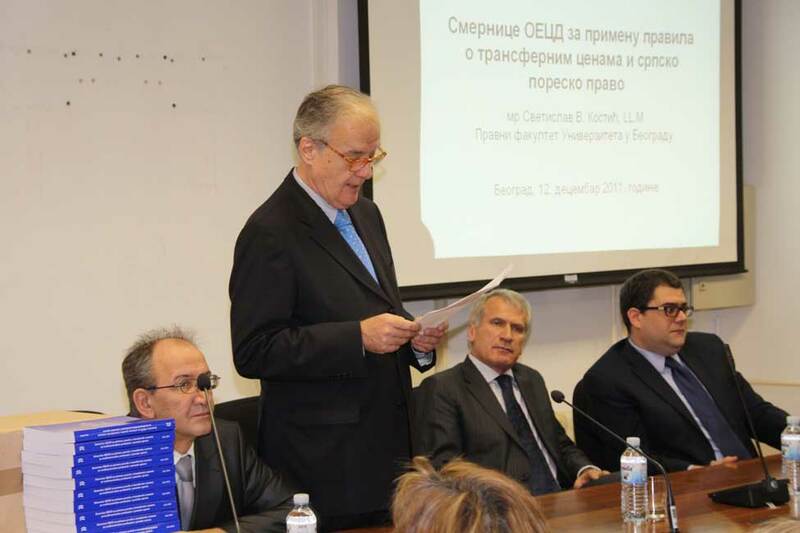 The Serbian Fiscal Society, in cooperation with Central IFA (IFA Travel Lectureship Program) organized on 19 June 2017 a lecture by Prof. Dr. Philip Baker on the new multilateral instrument and its application. 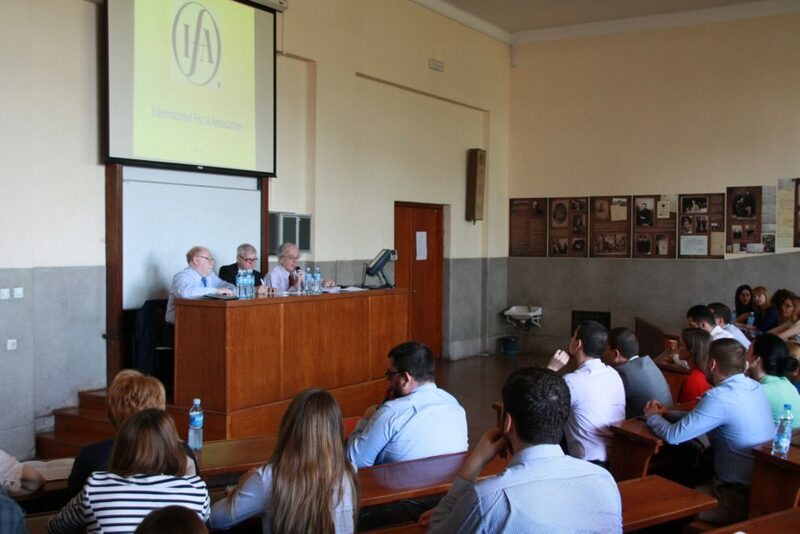 The lecture was opened by the President of SFS Prof. Dr. Dejan Popović, while the audience was also addressed by the Vice President of IFA, Prof. Dr. Bertil Wiman, who spoke a few words on our global organization and its activities. 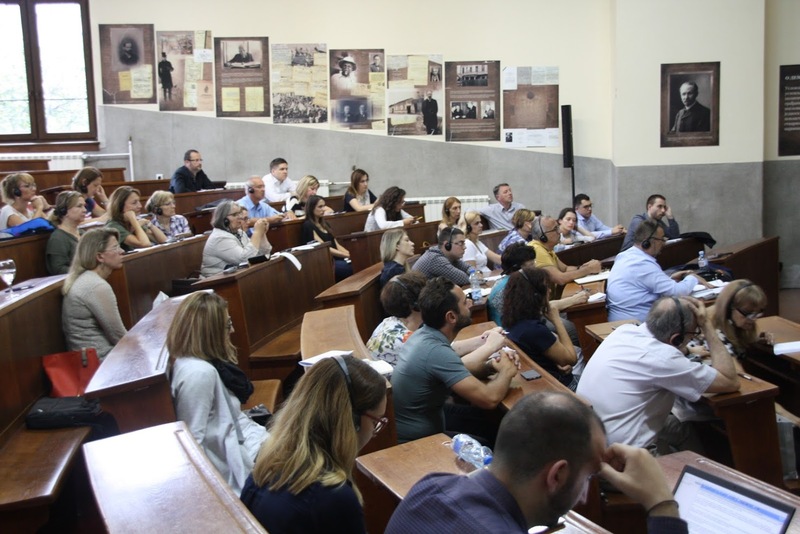 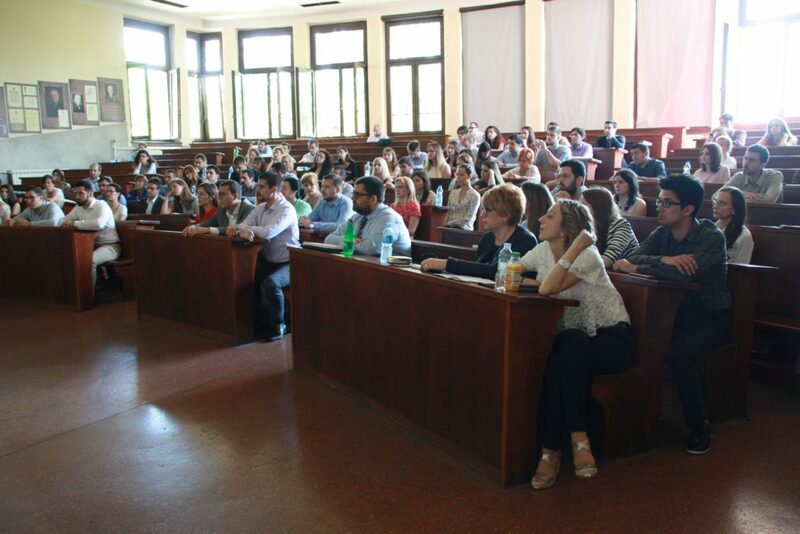 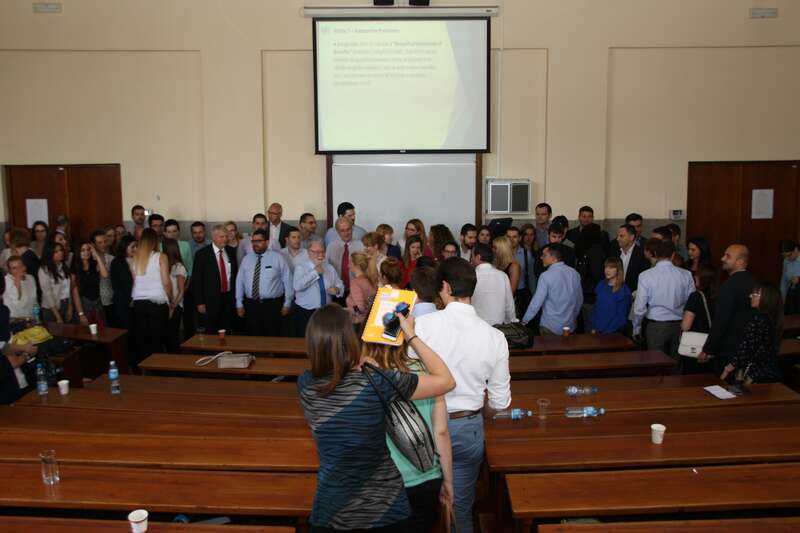 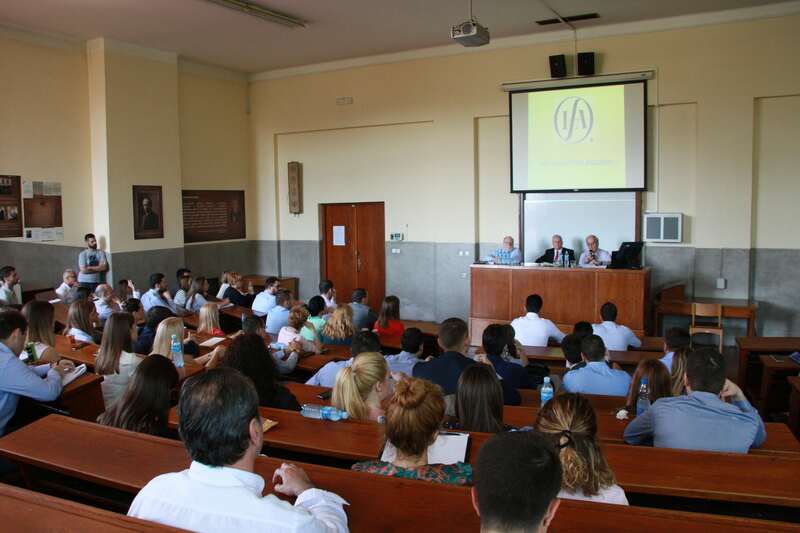 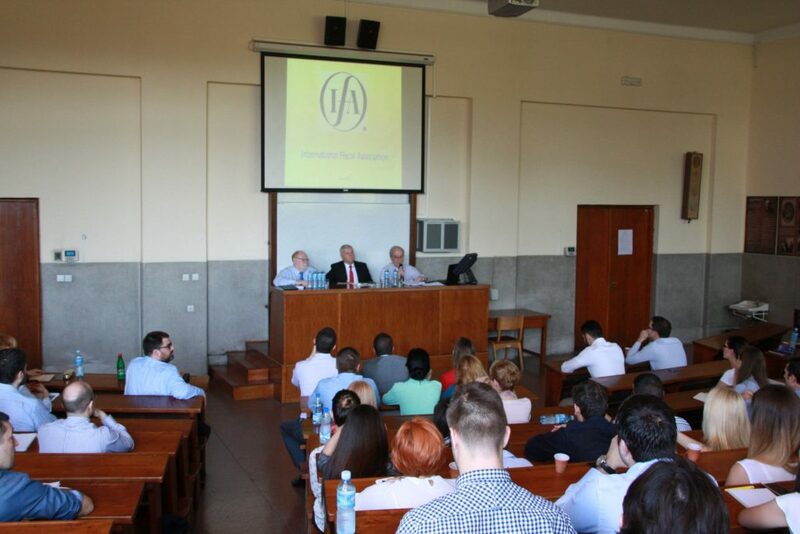 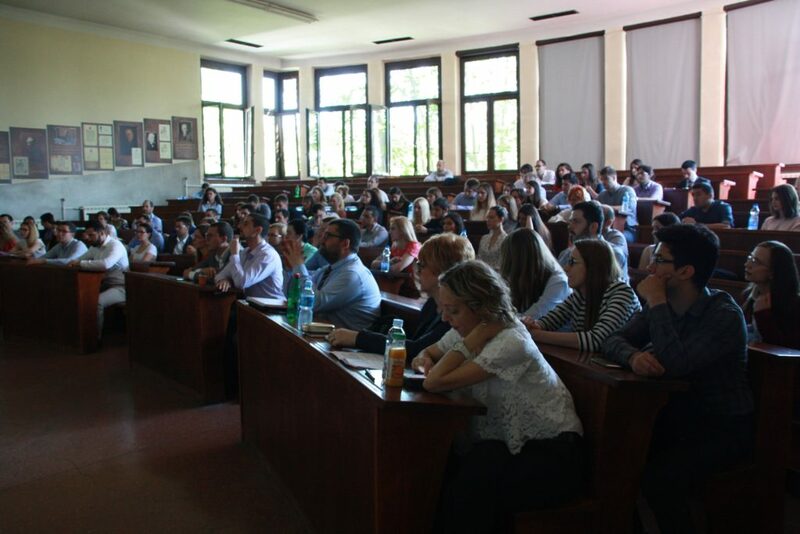 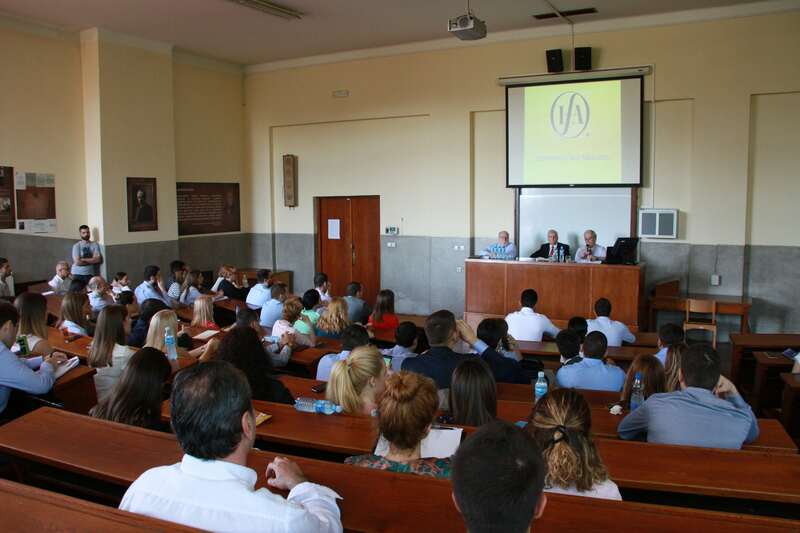 Prof. Dr. Philip Baker’s lecture, which was held from 09:50 to 13:30 in Amphitheater II of the University of Belgrade Faculty of Law, was attended by more than 100 members of the SFS and their guests. 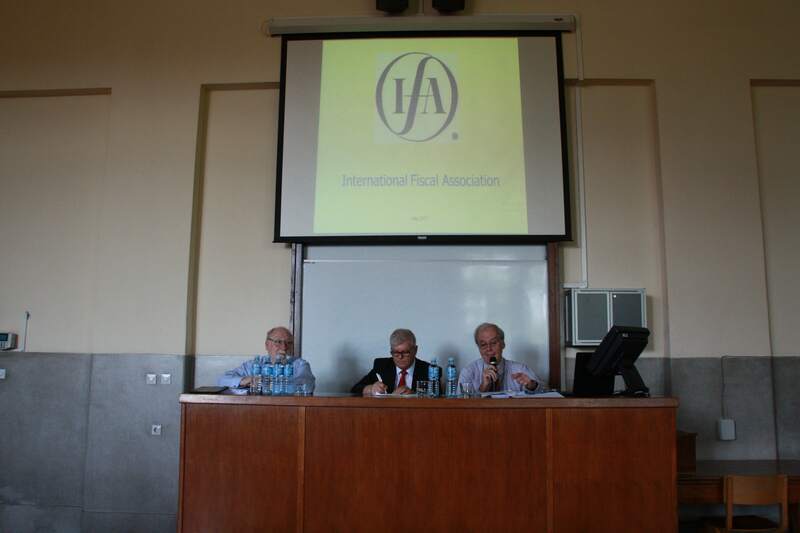 Prof. Philip Baker showed at his Belgrade lecture why he is, in addition to being one of the foremost authorities on international taxation in the world today, considered probably the best and the most interesting lecturer in this area of law. 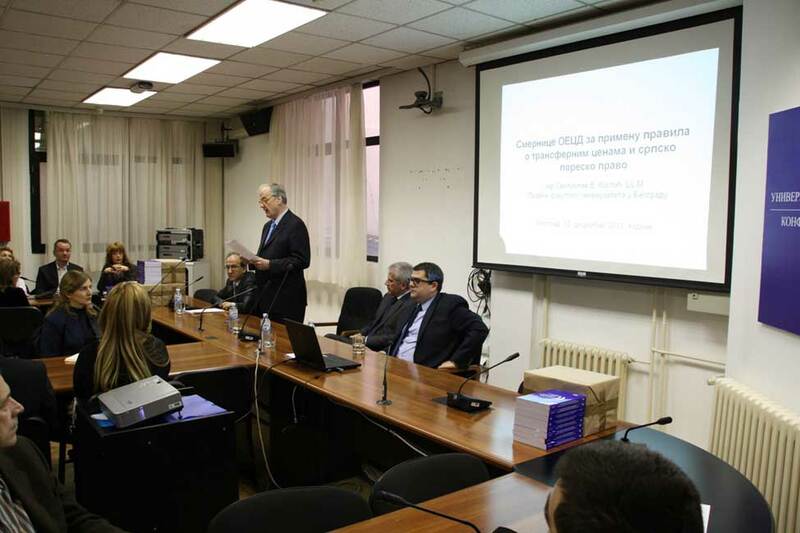 The Serbian translation of the OECD Model Tax Convention on Income and on Capital (2014) has been published under the auspices of the Serbian Fiscal Society. 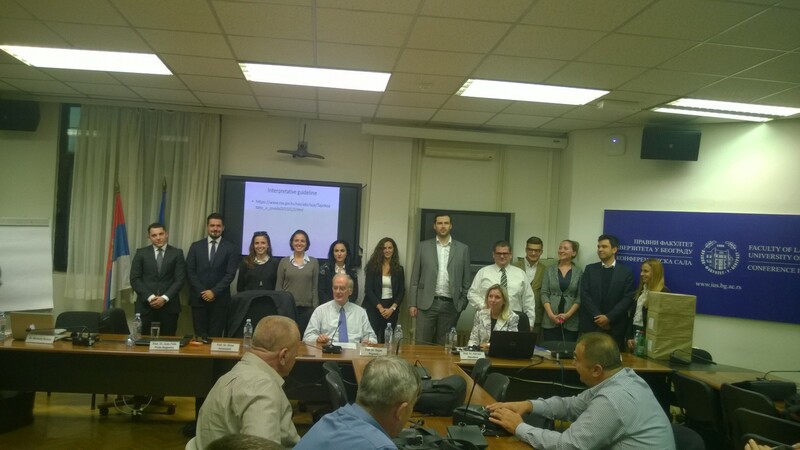 After more than a year of efforts the SFS Working Group for the Translation of the OECD Model Tax Convention on Income and on Capital, which included Doc. 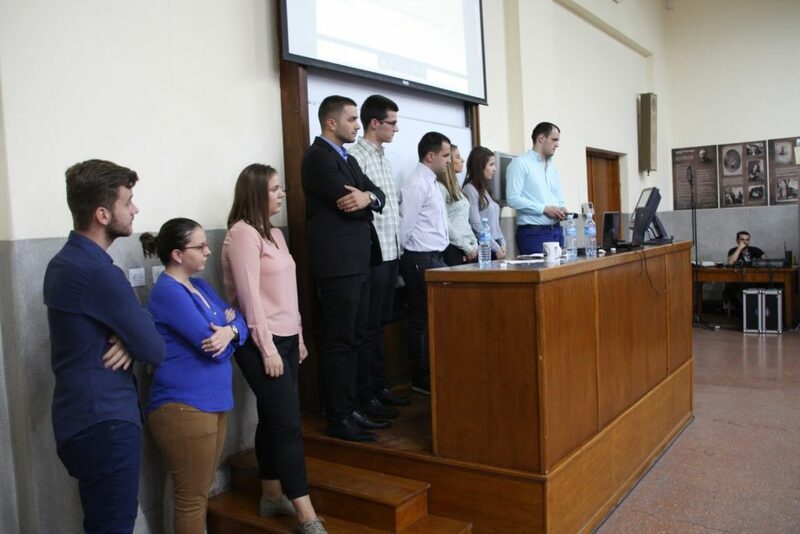 Dr. Svetislav V. Kostić, Dejan Mraković, LL.M, Pavle Kutlešić, LL.M, Bojan Stanković, Nebojša Jovanović, LL.M, Slobodanka Kolundžija, LL.M, Anđela Bogojević, Nikola Filipović, Nataša Gatarić, Sara Nenadić, LL.M, Nebojša Pejin, Sanja Ristić, Tanja Ristić, Slobodan Trivić i Milan Vojinović, completed the task of translating into Serbian the most relevant source in international tax treaty law, a source which represents the basis for anyone who whishes to deal with this area of tax law. 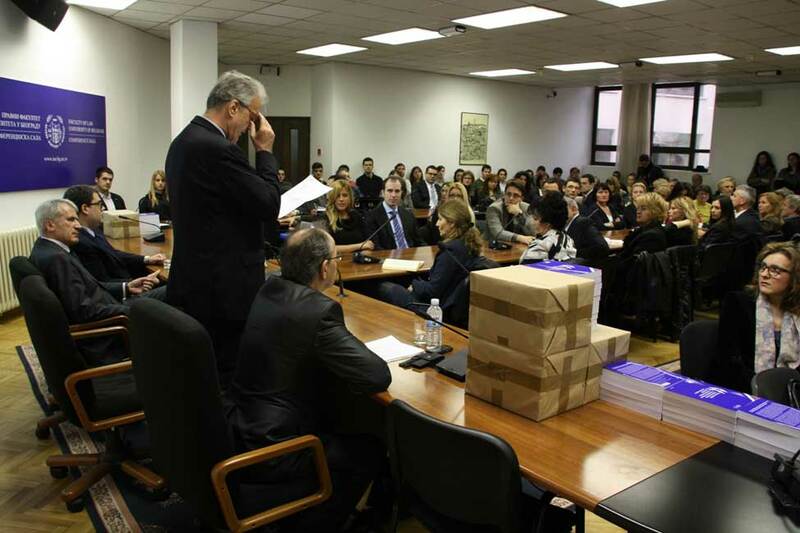 The translation was published into 600 copies, out of which, pursuant to the decision of the General Assembly if the SFS, 300 were donated to government, judicial and academic institutions in Serbia and the Republic of Srpska. 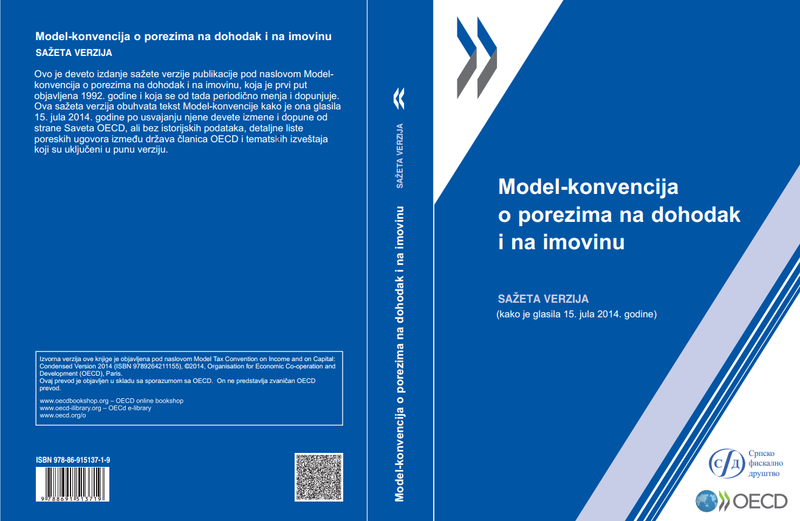 The publication of the Serbian translation of the OECD Model Tax Convention on Income and on Capital (2014) was made possible by donations from Unicredit Bank a.d. Belgrade, PK Tatić, Deloitte, KPMG, PwC and the Karanović & Nikolić law firm. 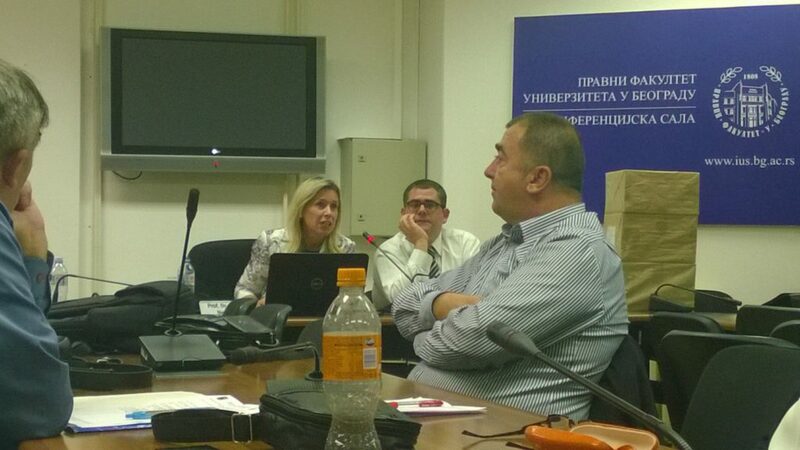 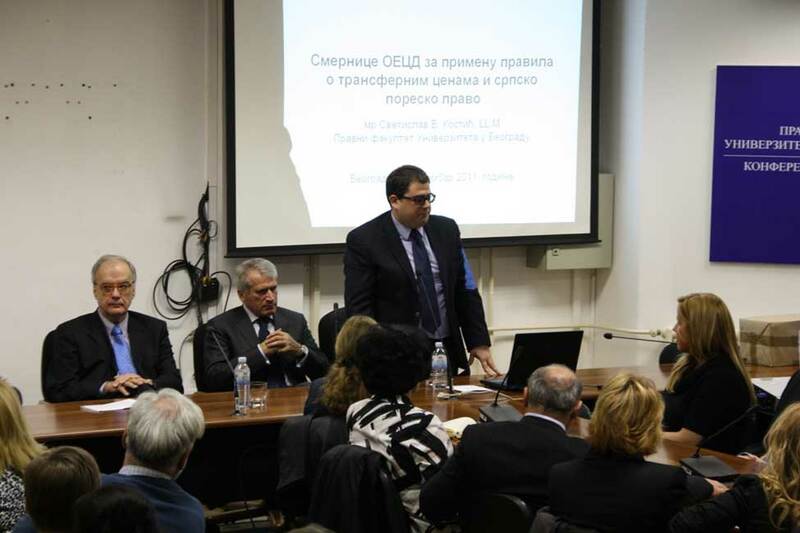 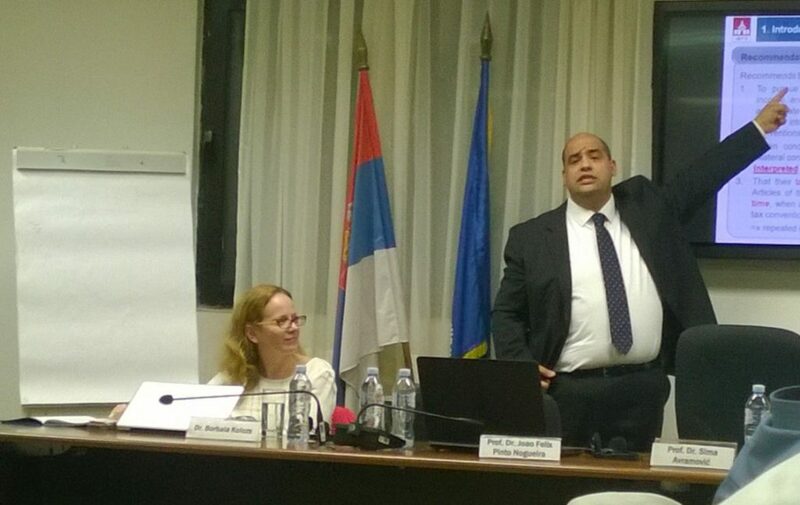 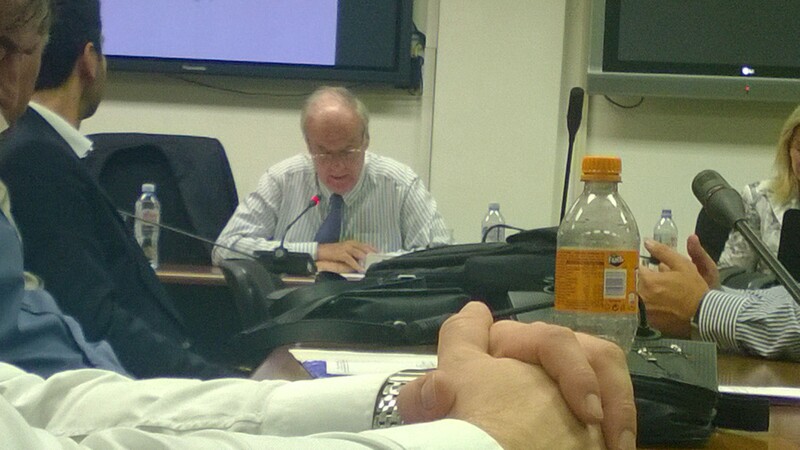 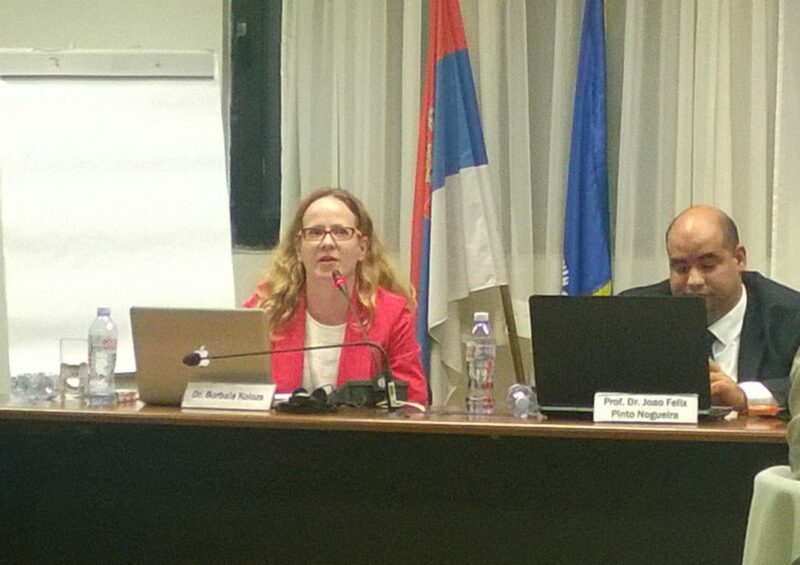 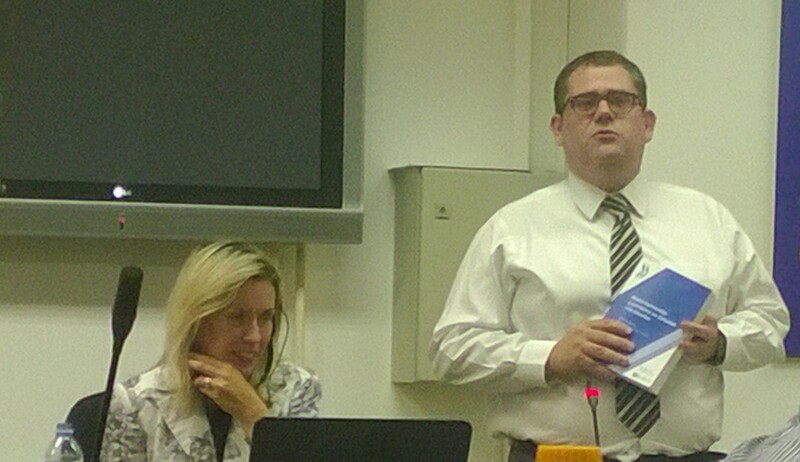 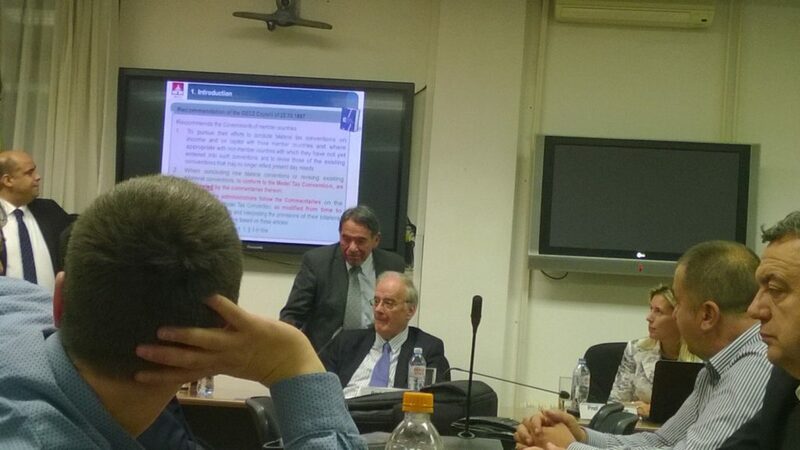 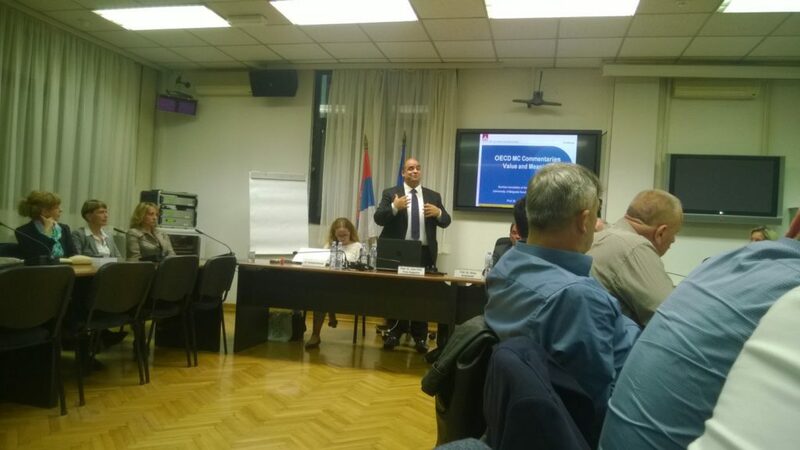 Dr. Svetislav V. Kostić – Presenting the Serbian translation of the OECD Model Tax Convention and its Commentary. 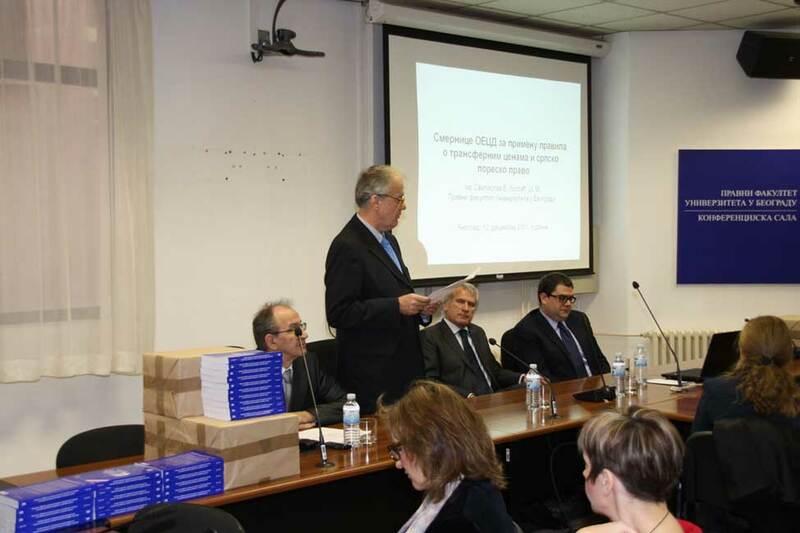 The book can be purchased at the Bookstore of the Faculty of Law (Bul. 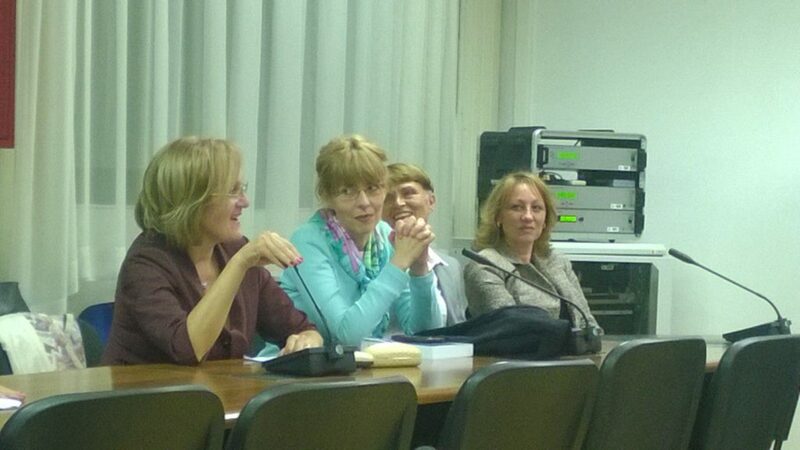 kralja Aleksandra 67, 11000 Belgrade) or (electronic version only) through the OECD. 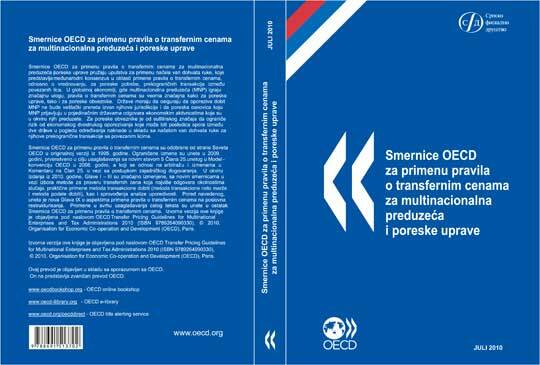 The Serbian translation of the OECD Transfer Pricing Guidelines for Multinational Enterprises and Tax Administrations (2010) has been published under the auspices of the Serbian Fiscal Society. 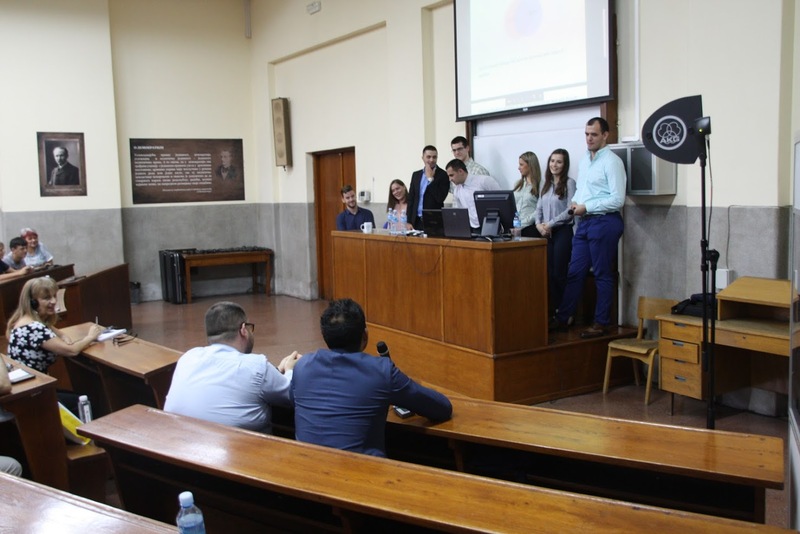 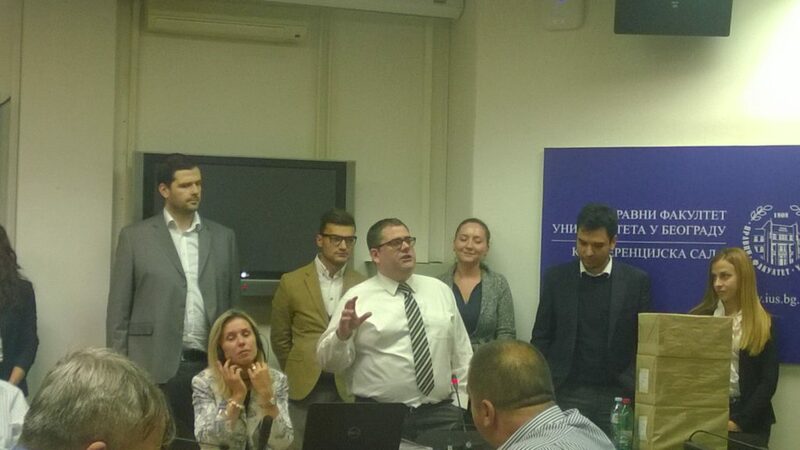 After more than a year of efforts the SFS Transfer Pricing Working Group which included Prof. Dr. Dejan Popovic, mr Svetislav V. Kostic, Dr. Dragan Demirovic and mr Sasa Randjelovic, with the support of young Deloitte employees (Milica Obradovic, Filip Kovacevic, Milos Krstic and Dejan Mrakovic, LL.M), completed the Serbian translation of one of the most important comparative sources in the area of transfer pricing, a source which represents the initial basis for anyone who wishes to deal with this topic of tax law. 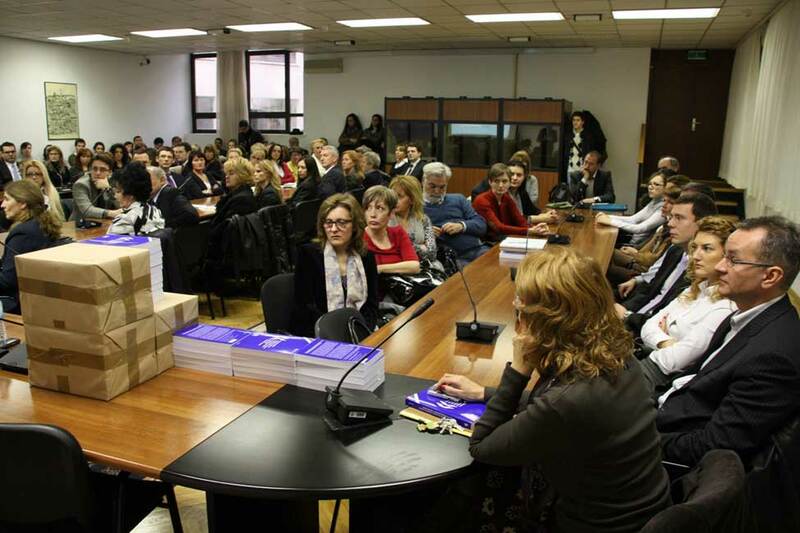 The translation was published in 300 copies, where in accordance with the decision of the General Assembly of the SFS, 130 of them have been donated to government, judiciary and academic institutions in Serbia and the Republic of Srpska. 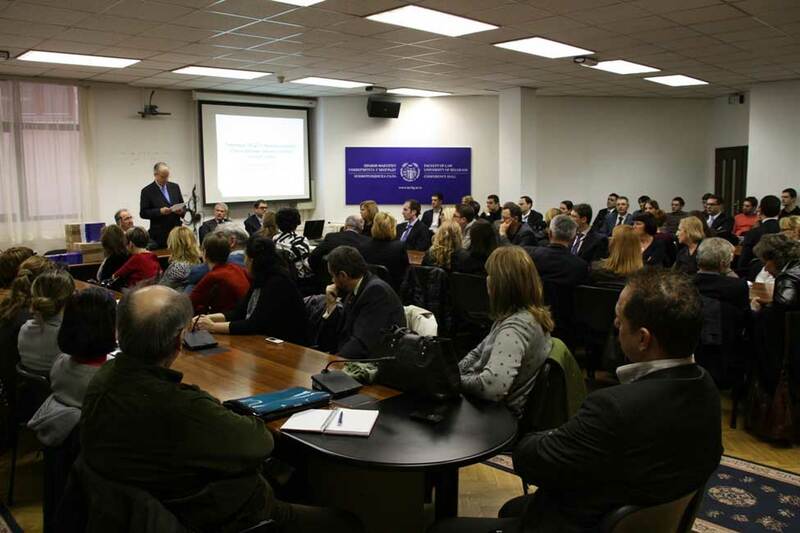 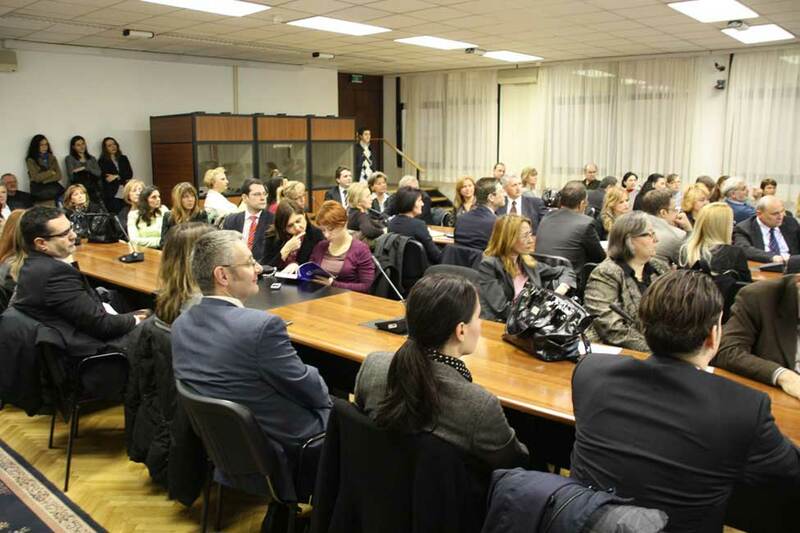 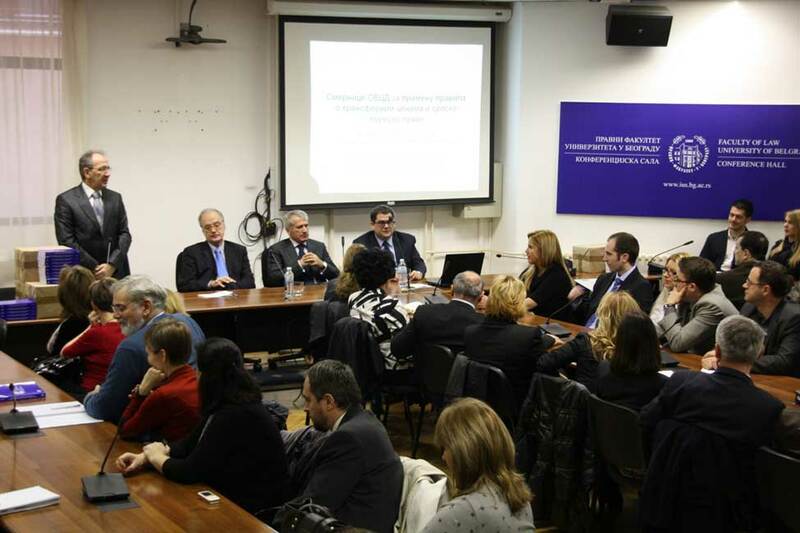 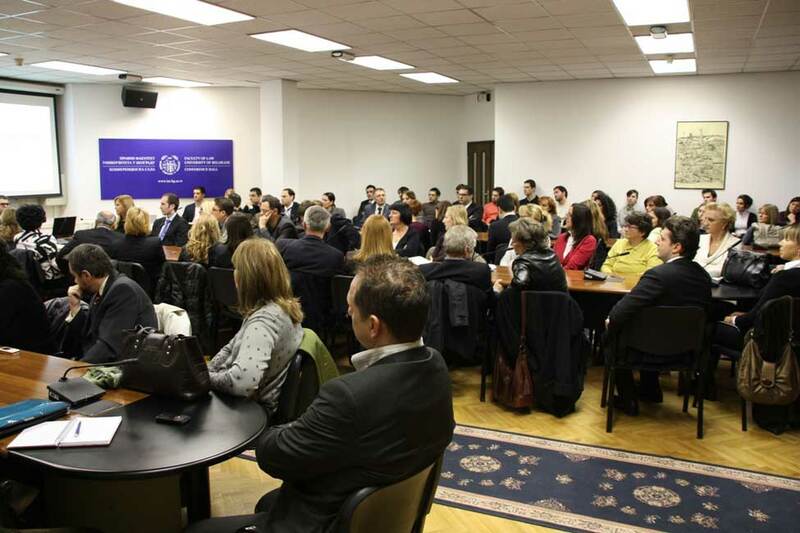 A highly attended promotion of the Serbian edition of the OECD Transfer Pricing Guidelines for Multinational Enterprises and Tax Administrations was held on 12. 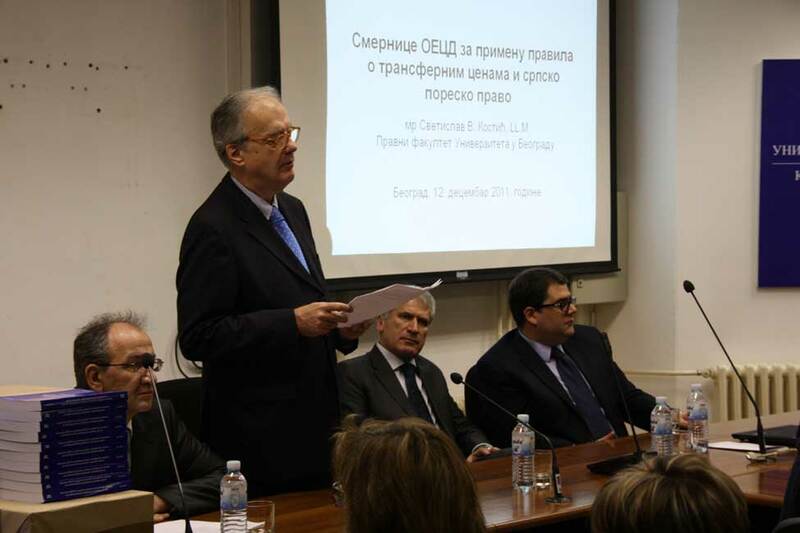 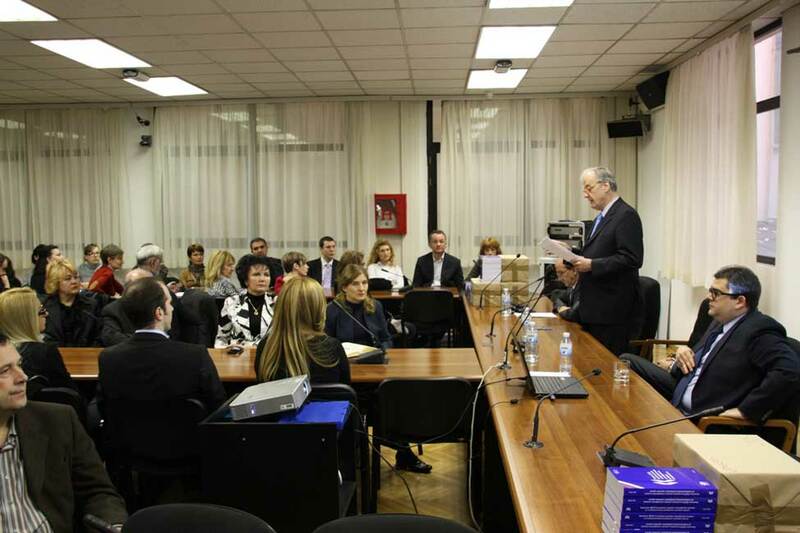 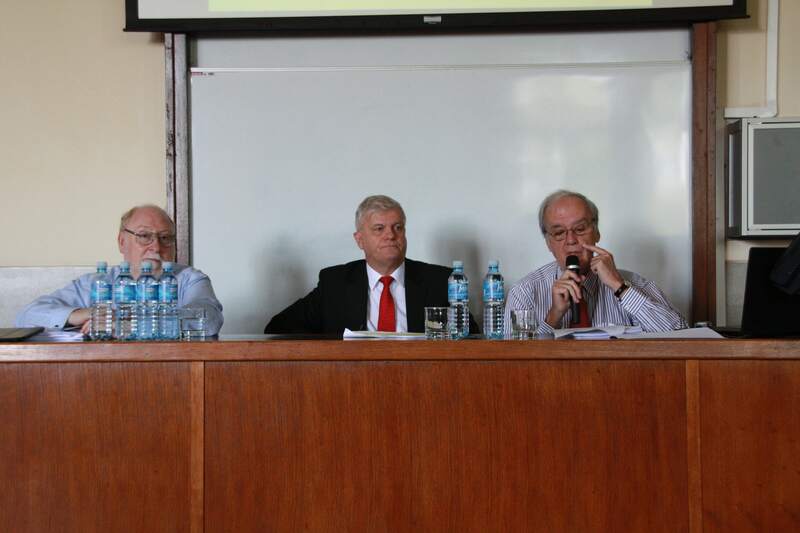 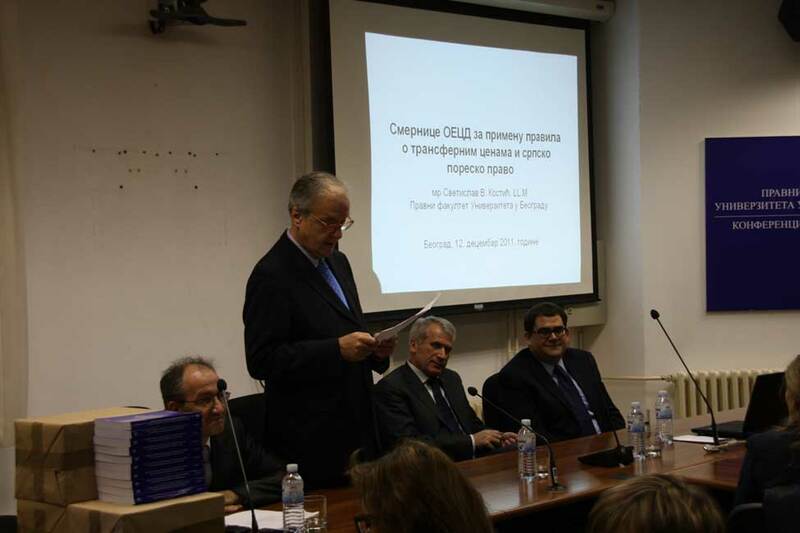 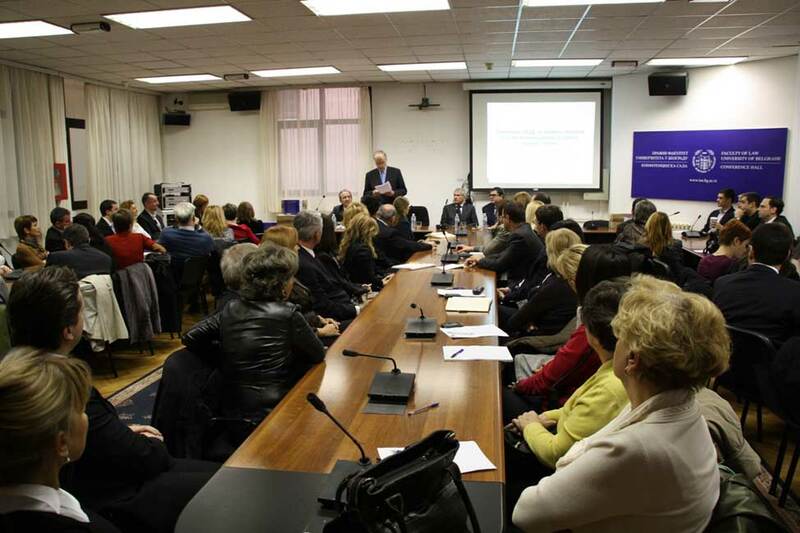 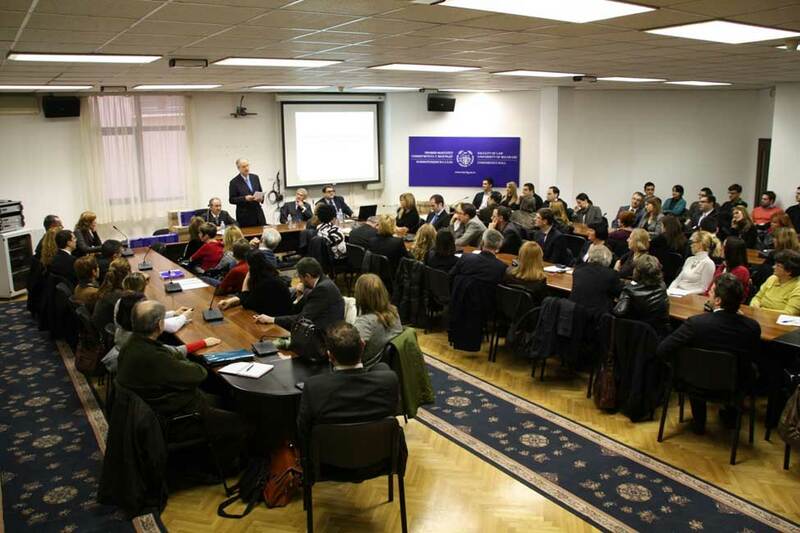 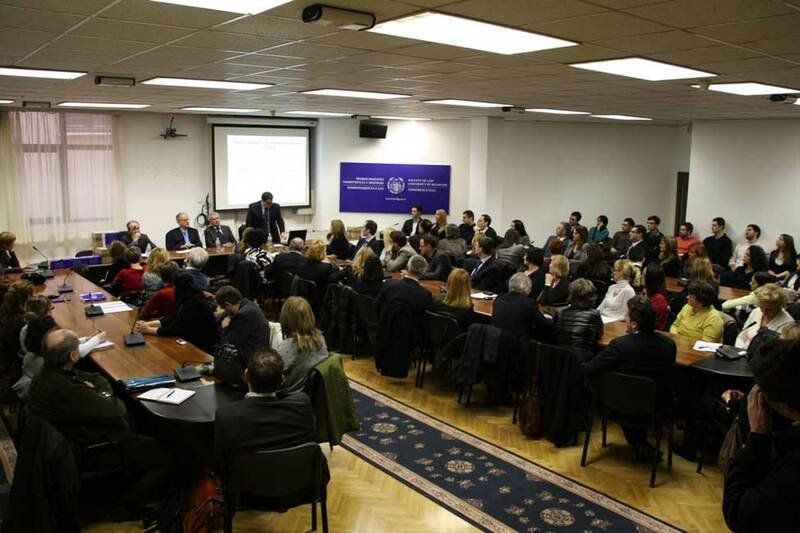 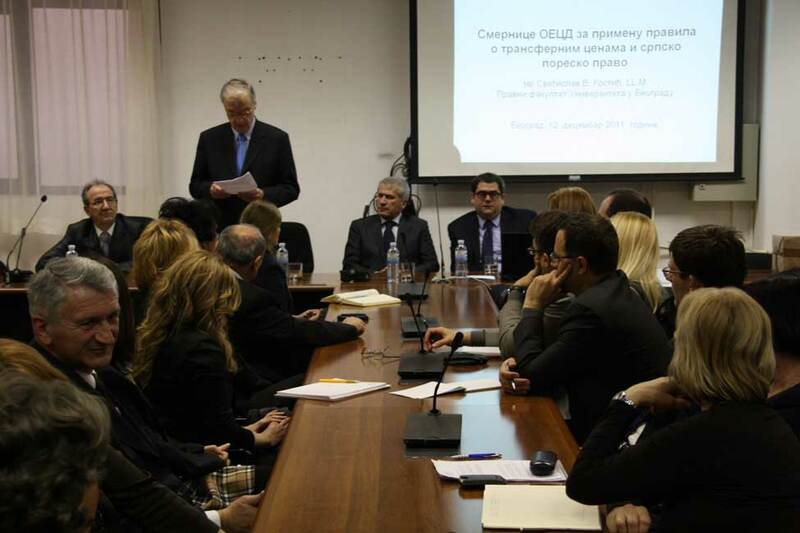 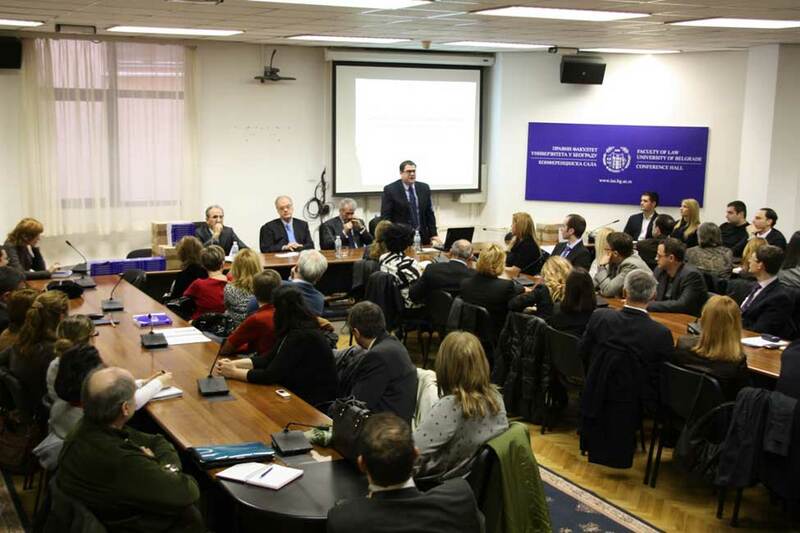 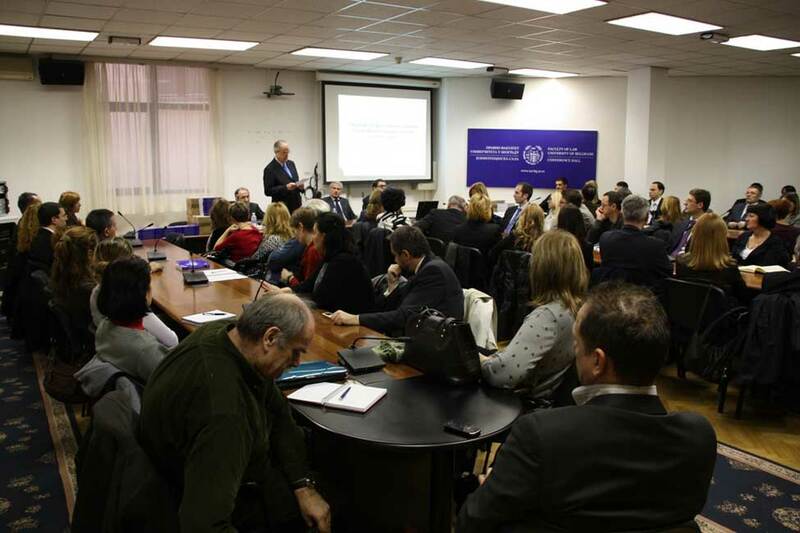 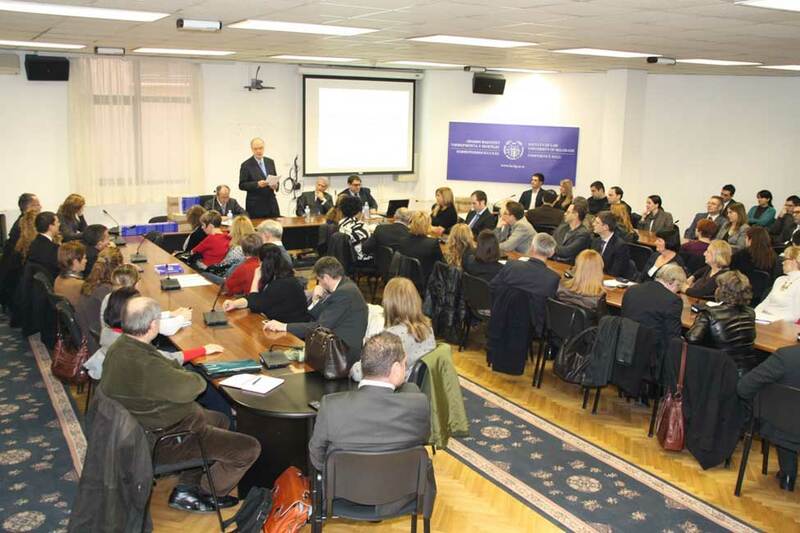 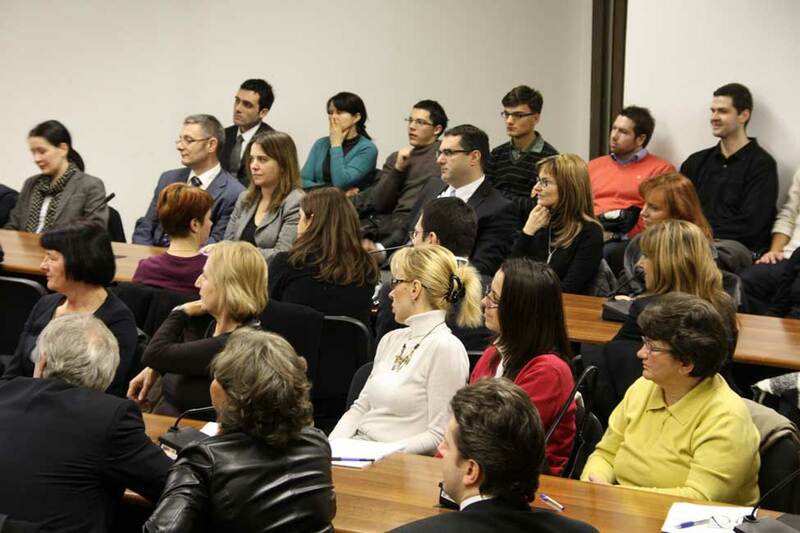 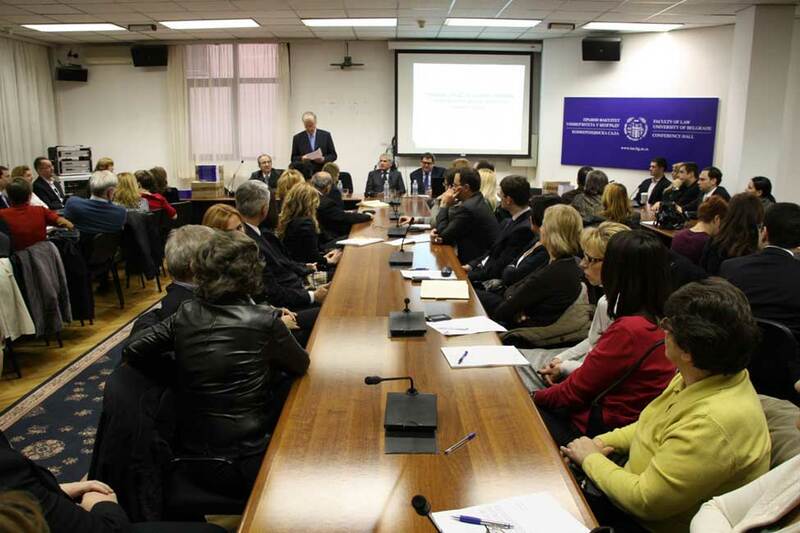 December at the University of Belgrade Faculty of Law, where the audience was addressed by Prof. Dr. Mirko Vasiljevic, the Dean of the Faculty of Law, Prof. Dr. Dejan Popovic, the President of the SFS, Dejan Stojanovic, Secretary General of the SFS and mr Svetislav V. Kostic, a member of the SFS Transfer Pricing Working Group (here you can view the presentation of mr Svetislav V. Kostic from the presentation/ Serbian only). 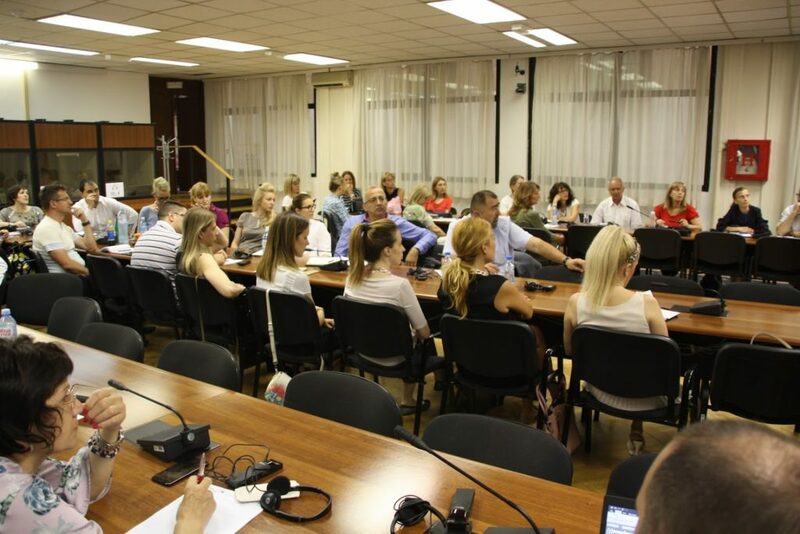 After the Belgrade event, a promotion was also held on 15. 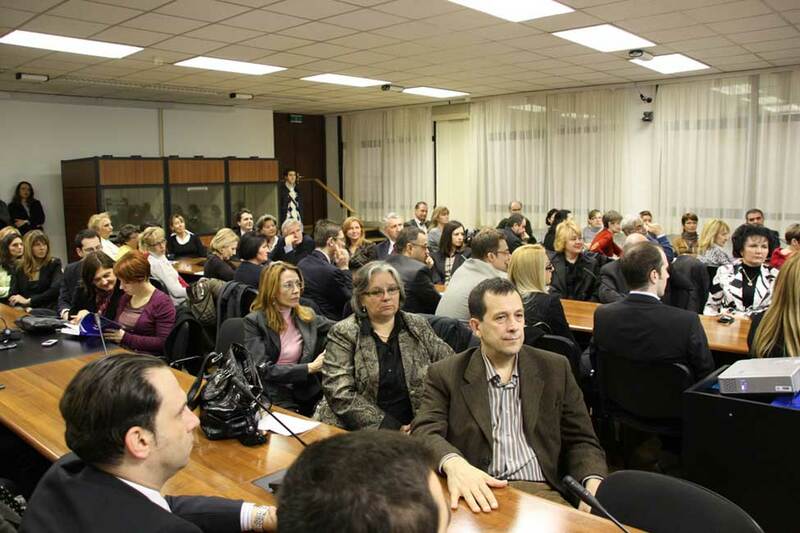 December 2011 in Banja Luka at the Administrative Centre of the Government of the Republic of Srpska. 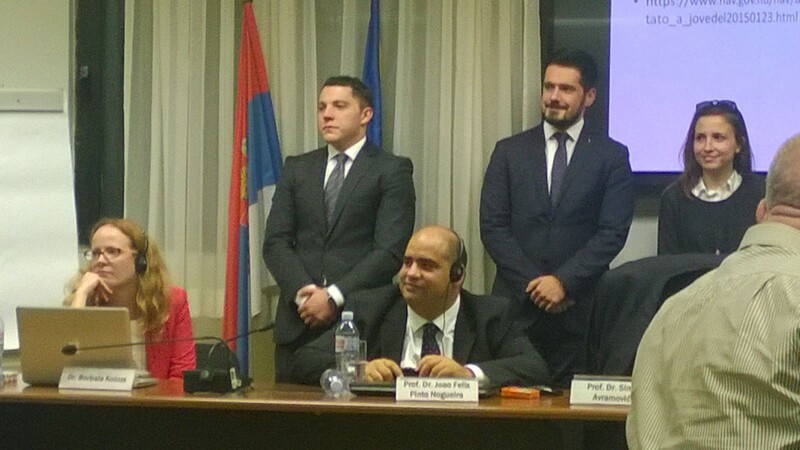 On 17. June 2011 the SFS and the University of Belgrade Faculty of Law organized a seminar on the subject International Taxation of Sportsmen during which the students of the University of Belgrade Faculty of Law presented the findings of their research conducted during preparations for the moot court competition in international tax law held every year in Leuven (Belgium), in which the University of Belgrade Faculty of Law participated for the first time this year. 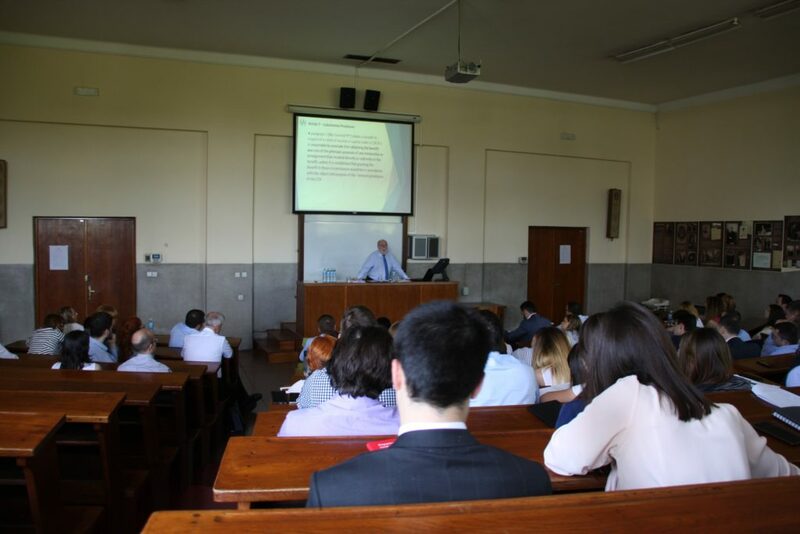 More on the above mentioned moot court competition can be found at http://www.law.kuleuven.be/eutax/. 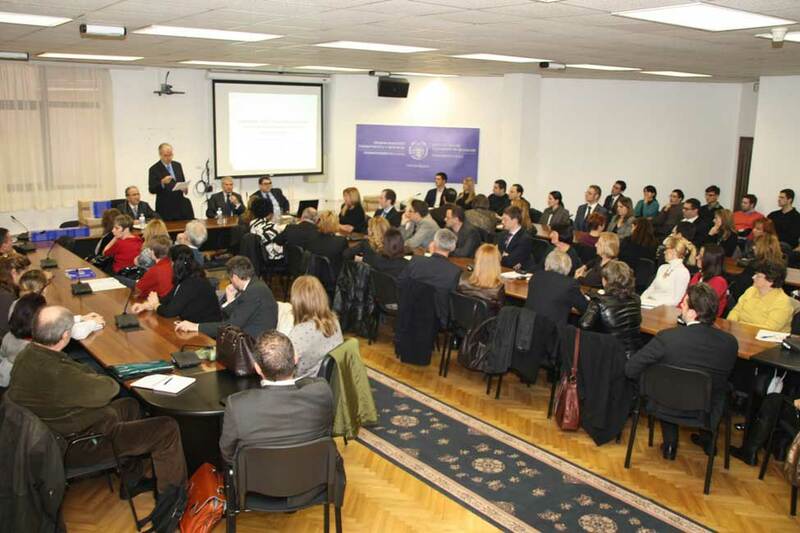 Serbian Fiscal Society prepared 9 amendments to the Draft Law on Changes and Amendments of the Enterprise Profits Tax Law and on 21 October 2008 forwarded them to Dr. Diana Dragutinović, Minister of Finance in the Government of the Republic of Serbia. 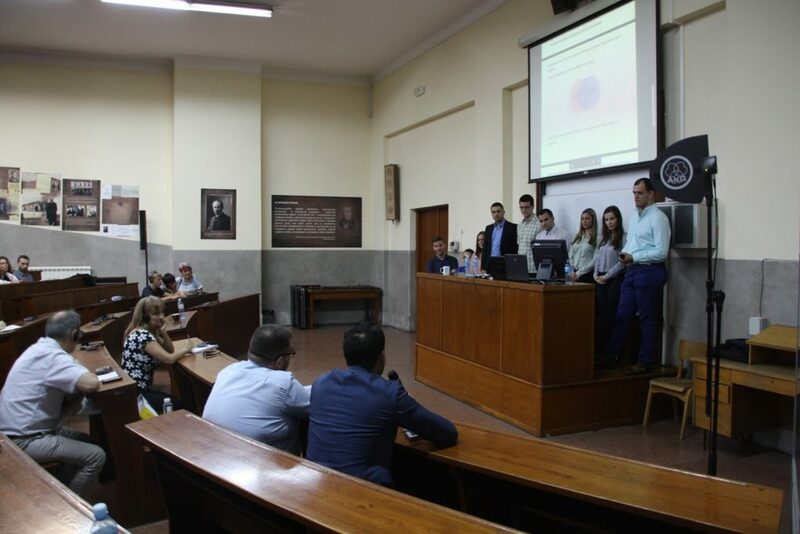 In addition, an alternative set of proposals concerning replacing the existing indirect tax credit provisions with the participation exemption in cases of inter-company dividends (and certain capital gains and royalties) has also been submitted. 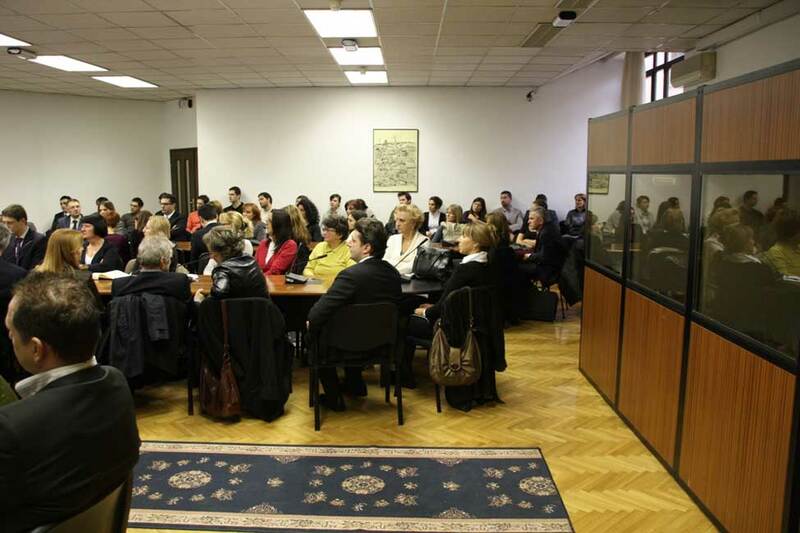 Serbian Fiscal Society prepared 26 amendments to the Draft Law on Changes and Amendments of the Personal Income Tax Law and on 16 October 2008 forwarded them to Dr. Diana Dragutinović, Minister of Finance in the Government of the Republic of Serbia. 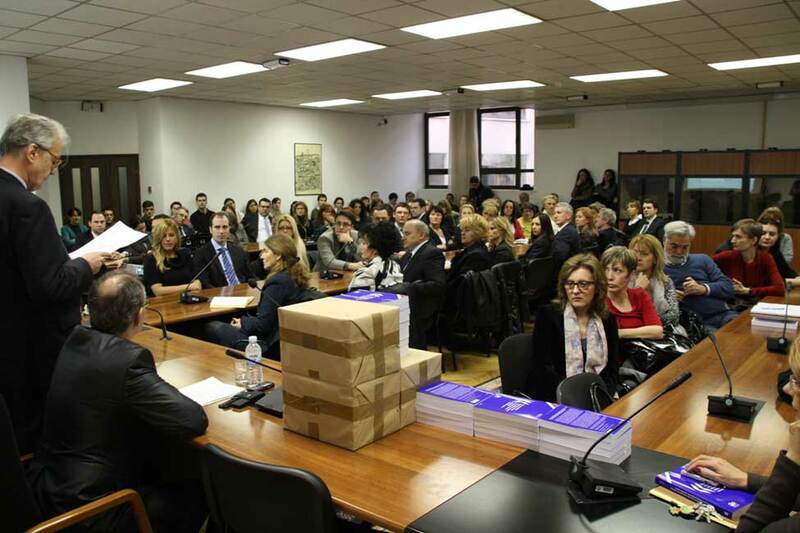 In addition, a critical overview of certain tax policy aspects of the Draft Law has also been submitted. 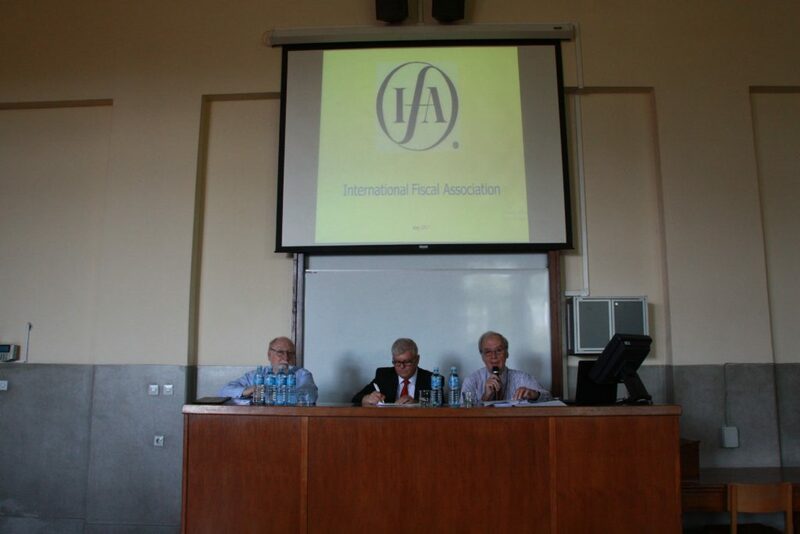 At the invitation of the Romanian IFA branch, the President of the Serbian Fiscal Society Prof. Dr. Dejan Popović participated at its inaugural meeting in Bucharest from 15th to 16th of May 2008, and at the International Tax Conference on the Process of Simplification of European Taxation: Challenges and Opportunities, which was held on 15th May. 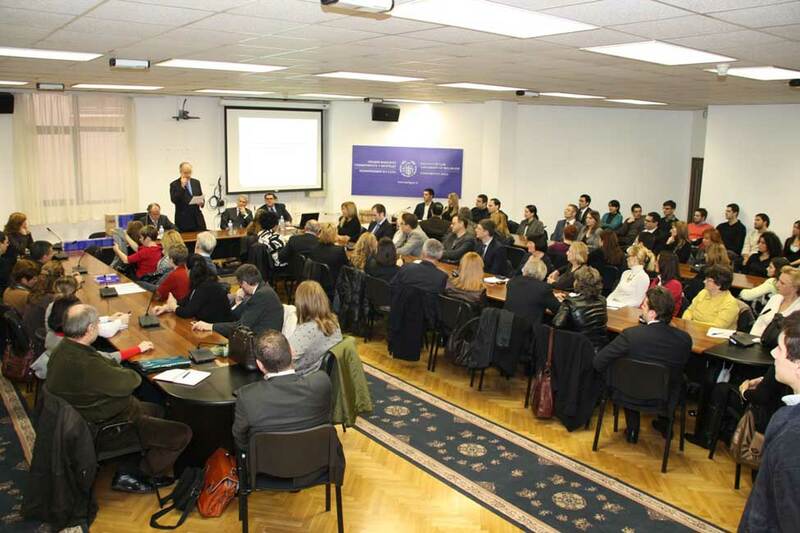 During September 2007 members of SFS participated in the drafting of proposals for the amendments to the Corporate Income Tax Law and the Personal Income Tax Law. 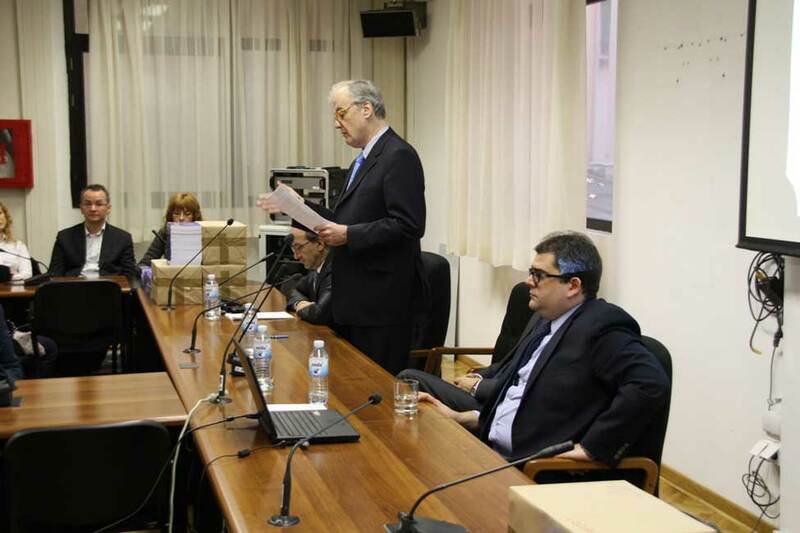 The suggestions of SFS were delivered to the Ministry of Finance on 5th October 2007, out of which a significant number were accepted.